Hawaii is renowned for its vast variety of plant and flower species which have arrived at the Hawaiian Islands from all over the world. The tropical botanical gardens found in Hawaii are known to be some of the most beautiful, unique and diverse of all the botanical gardens in the world. Many garden lovers travel to Hawaii just for the sole reason of seeing and experiencing the rare and exotic plants that are grown in the Hawaiian botanical gardens. 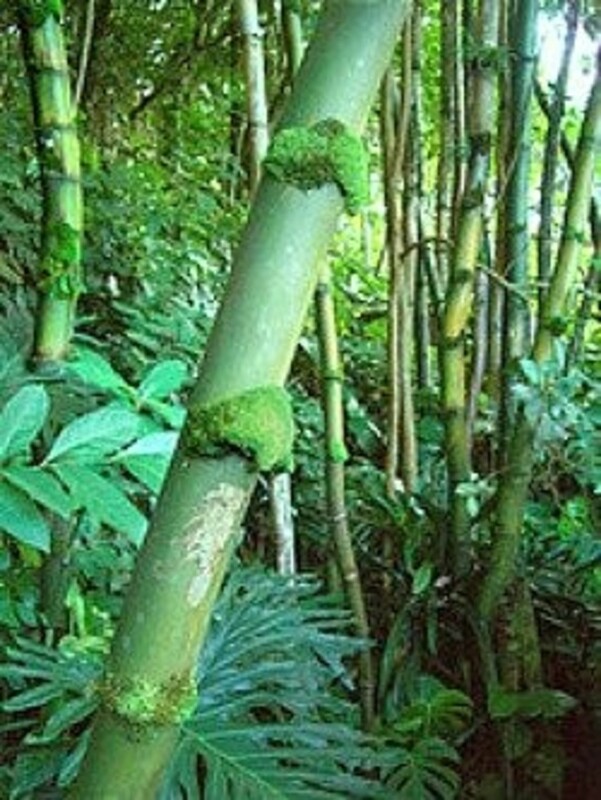 This page will show you a few of the very best Hawaii botanical gardens located on each of the islands of Hawaii. Each island has their own unique destinations and I have selected a few from the many on each island to show you here. Every Hawaiian Island has its own tropical, botanical gardens. We will visit each island and I will tell you a little about a few of the botanical gardens that I think, in my humble opinion, are the most worthwhile to visit. There are so many gardens and each one is unique in its own way; however, no one that is visiting for only a week on an island hop has the time to see them all! 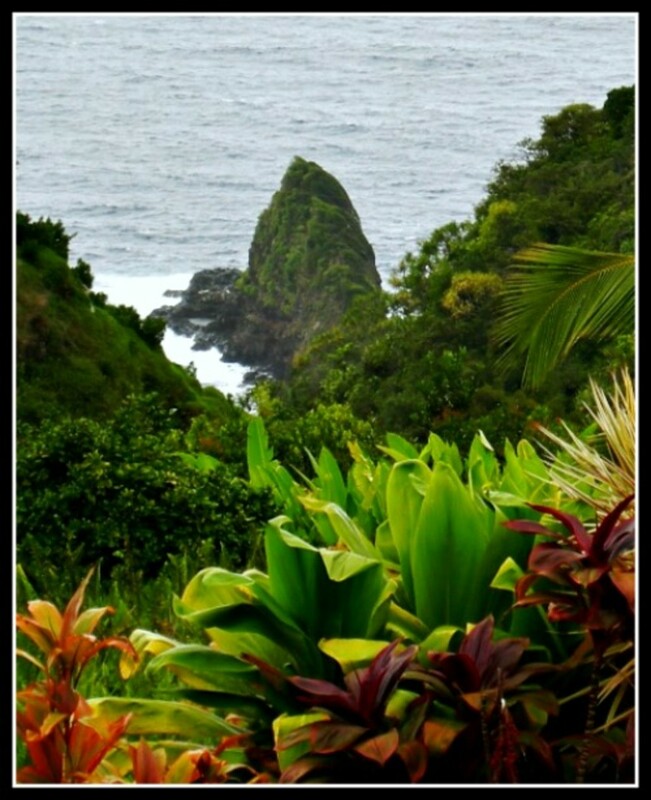 I have selected what I think are the very best gardens on each Hawaiian island that should not be missed, to help you plan your Hawaiian Islands garden vacation. The island of Oahu is home to many beautiful botanical gardens. If you do not island hop, and plan to only visit this island for a week, you would still not be able to see them all. I have selected two of my very favorite botanical gardens from this island to share with you. Foster Botanical Garden is in Honolulu, on Oahu. Walking into this botanical garden is like walking into a magical, tropical, fairyland of gardens. 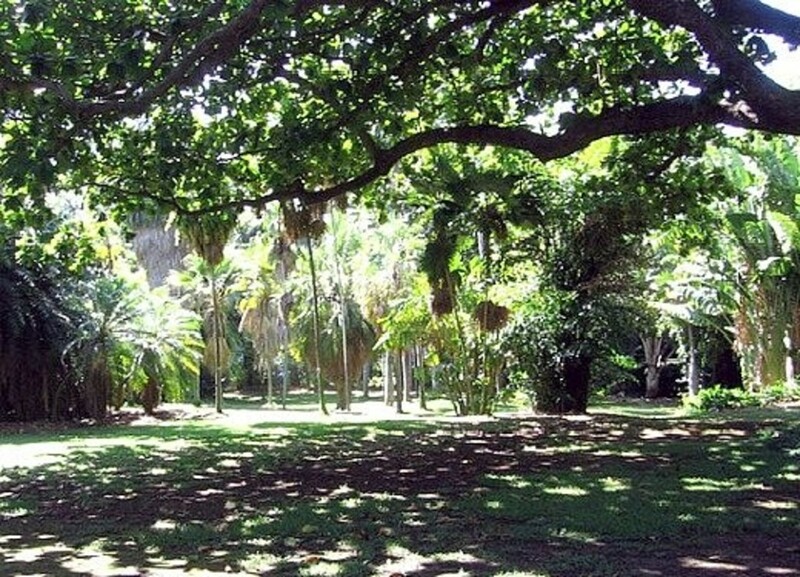 This Hawaiian botanical garden is the oldest in Hawaii and is listed on the National Register of Historic Places. 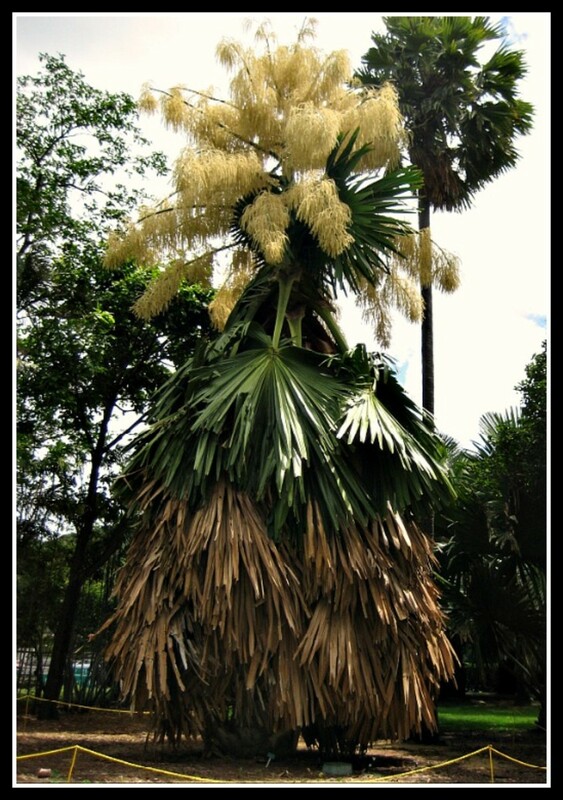 It has been collecting and growing specimens for a period of 140 years from all over the world's tropics. The gorgeous garden is a living museum of exotic, rare and unique beautiful plants and trees. 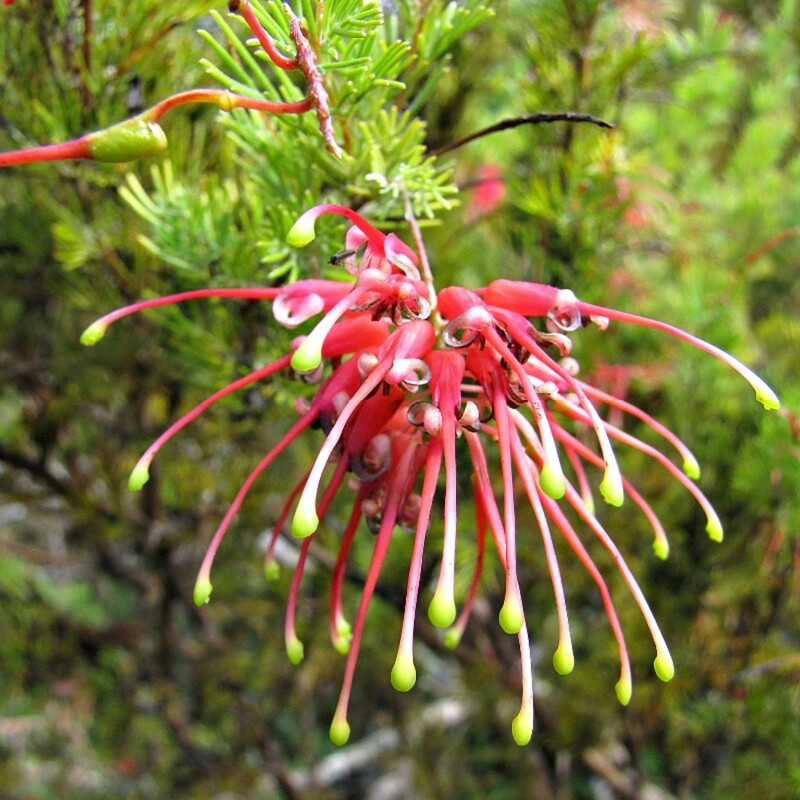 Many of the rare plants are endangered in their own native countries. 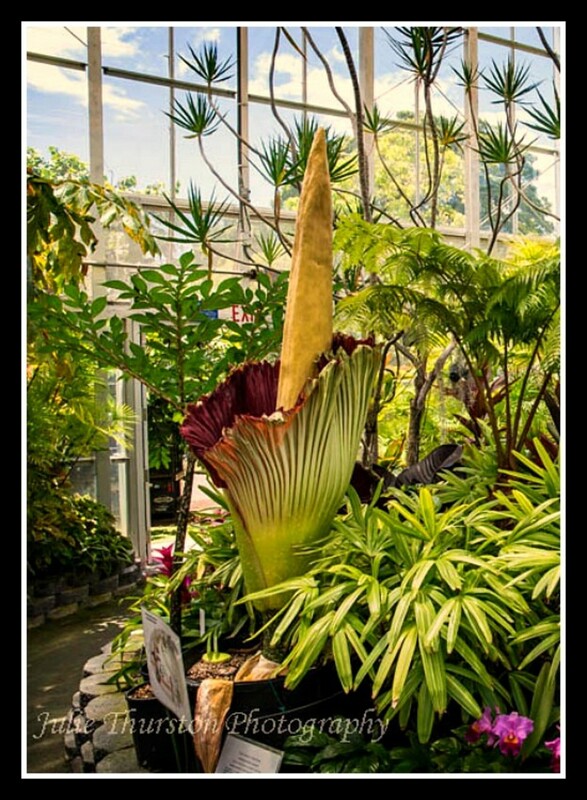 From the rare orchids in the "Lyons Orchid Garden" to the unusual flowers like the gigantic "Corpse Flower", pictured here to the above right, this beautiful, fascinating garden is a magical, serene and educational experience. The gardens origins began in 1853 when Queen Kalama leased a small area of land to a German botanist and physician named William Hildebrand, who later sold the 5.5 acres to a couple, Captain Thomas and his wife Mary Foster. The oldest, towering trees that you see on the property were originally planted by Dr. Hildebrand, who is also famous for writing Flora of the Hawaiian Islands in 1888. He wrote this book when he returned to his German homeland upon the sale of the property. Lyon Orchid Garden - a collection of Old and New World orchid species. 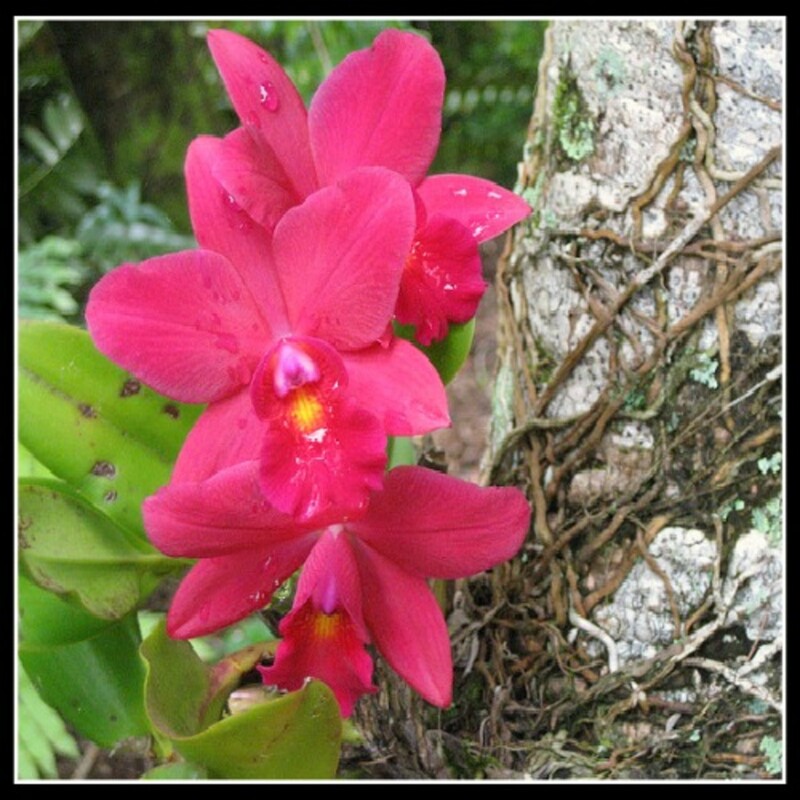 Most of the orchids here were planted from Dr. Lyon's private collection. Main Terrace - the oldest part of the garden dating from 1853, was planted by Dr. Hildebrand and where the Hillebrands built their home. Middle Terraces - is the heart of the gardens. It features palms, aroids, heliconia and ginger. When walking through this area you are surrounding by the exotic perfume of the ginger plants wafting with the warm, tropical breeze. Economic Garden - herb garden, spices, dyes, poisons and beverage plants. This section is home to the many healing or medicinal plants used in Hawaii. Prehistoric Glen Cycad Collection - primitive plants from around the world. Outdoor Butterfly Garden - gorgeous bloom and butterfly displays. Exceptional Trees - 24 trees designated "exceptional" throughout the Garden. This section has several one-of-a-kind specimens and protected trees of exceptional stature. Garden Hours - Open 9:00 a.m. to 4:00 p.m. daily. Closed Christmas and New Year's days. * Guided tours are offered at 1:00 p.m. on Monday through Saturday of each week. Reservations are suggested as tours are based on availability of volunteer docents. Other tours may be arranged upon request. Call (808) 522-7066 for information. * The Garden is a favorite place for weddings and photo taking. A permit is required for weddings and commercial photography. Call (808) 522-7066 for wedding information. 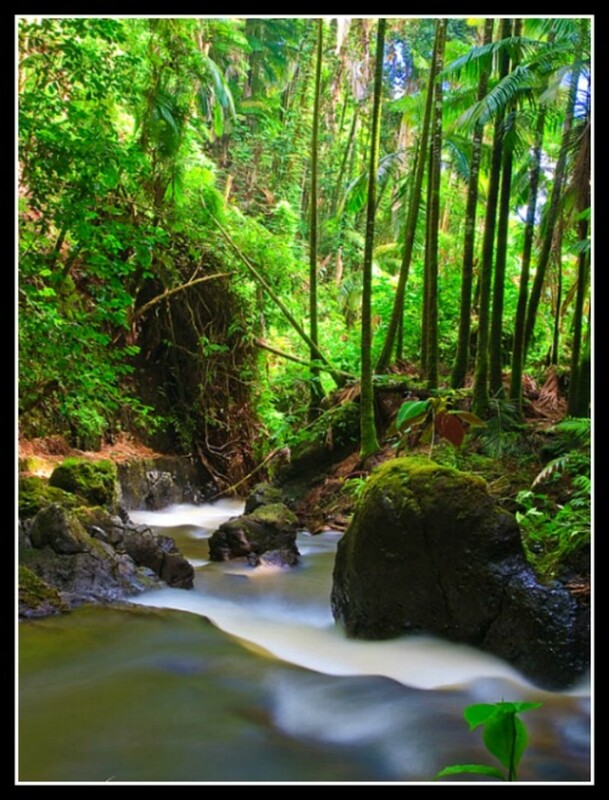 Waimea Valley has always been a spiritual center to the Hawaiians on the North Shore of the Island of Oahu. 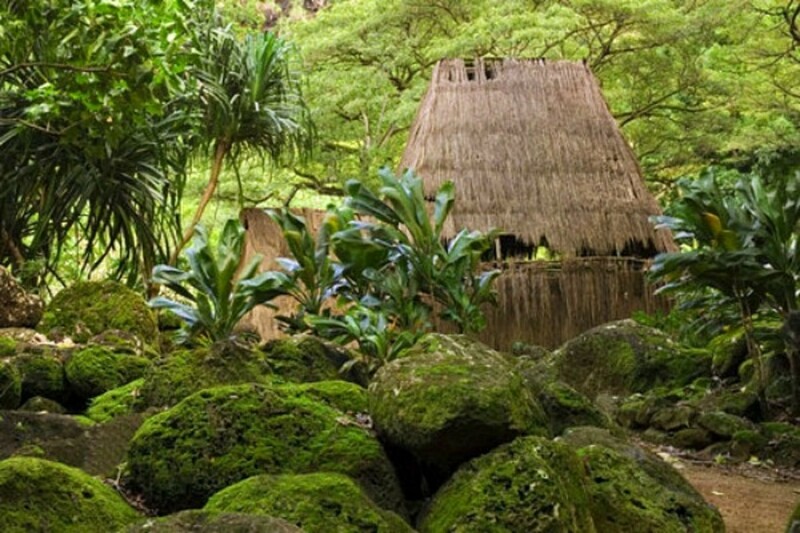 Despite how the Christian missionaries attempted to destroy the sacred heiaus (temples), the Hale o' Lono Heaiu, and other Hawaiian religious sites in the Waimea Valley, are still in use today. Years ago, when I was a little girl, Waimea Valley was a wonderful, untamed tropical jungle, full of lush vegetation, exotic plants and waterfalls gushing down from the mountain into the pools below. There were wild taro and banana patches; towering coconut trees intermingled amidst the ulu (breadfruit) trees; old puka puka (porous lava rock) stone walls built by the menehune (little people) surrounded an ancient and sacred heiau reminiscent of ancient Hawaii. The only way that you could access the falls back then was by following the trails on foot or on horseback. Some places were so overgrown than my Father and Uncle had to hack through the vines with their machetes to make a trail to get through. Once we were able to slip and slide over the wet, moss covered rocks and make our way through the giant hapu'u ferns and the canopy of trees covered in vines, the delight at the end of the trail was to be able to swim in the ice cold pool of fresh mountain rainwater gushing down from the high cliffs of the valley walls. It was great fun diving off of those cliffs! To us keikis (children) it was a sacred and magical place. When we were pau (finished) swimming we would eat wild waiwi (strawberry guavas) while sitting at the edge of the pool listening to the stories my Uncle would tell about the menehune building the walls in the dark of the night by the light of luna (moon). I can remember the chicken skin (goose bumps) I would get while thinking I could feel the eyes of the menehune watching us from the shadows of the deep dark jungle beyond the rays of the sunlight that filtered through the thick mantle of trees. Since my childhood days, the valley has seen many changes. First the road into the valley was paved so that the tourist could drive into the newly paved parking lot instead of hiking into the valley. A concession stand was built so that those that were adventurous enough to dare the hike could have refreshments of soda and chips upon their return. For the ones that weren't so adventurous, they began putting on hula shows and cliff diving shows to entertain while they waited for the return of the hikers. There is now a tram that takes visitors to the shows and gives a guided tour of 78 archaeological sites along the way or if you choose you can rent a bicycle and ride the trails. Waimea Valley is now a protected garden of over 1800 acres that is home to 36 major botanical collections, representing some 5,000 species from all over the world. It is also a bird sanctuary that was established by the Audubon Society. When the Audubon Society could no longer afford the cost of the up keep the Valley with bird sanctuary and gardens were turned over to the guardianship of the Office of Hawaiian Affairs (OHA). 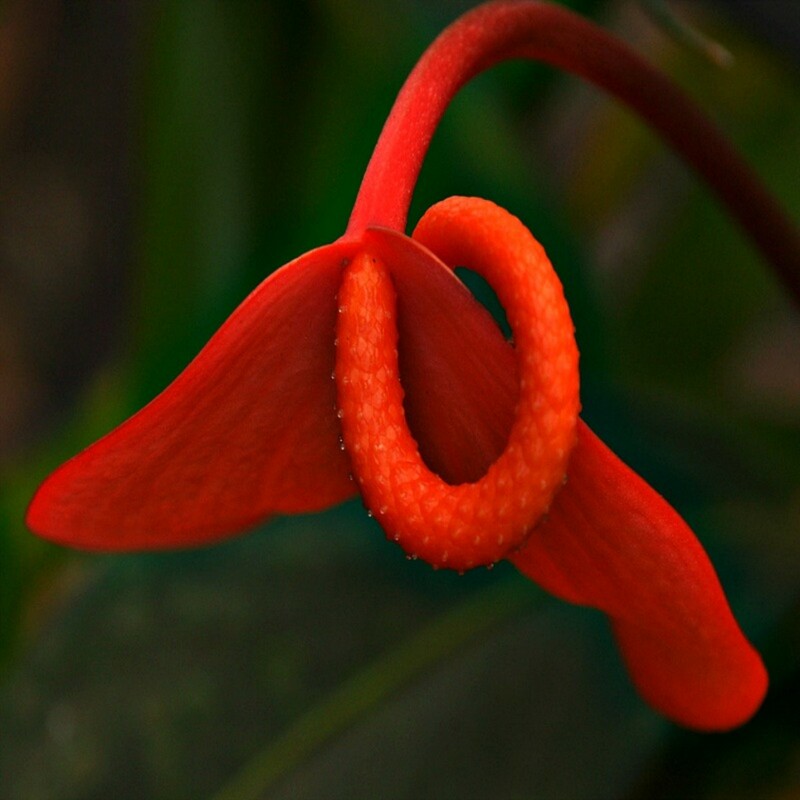 The plant collections focus on an excellent collection of very rare native Hawaiian plants, Polynesian introductions, and plants of the island's ecosystems. 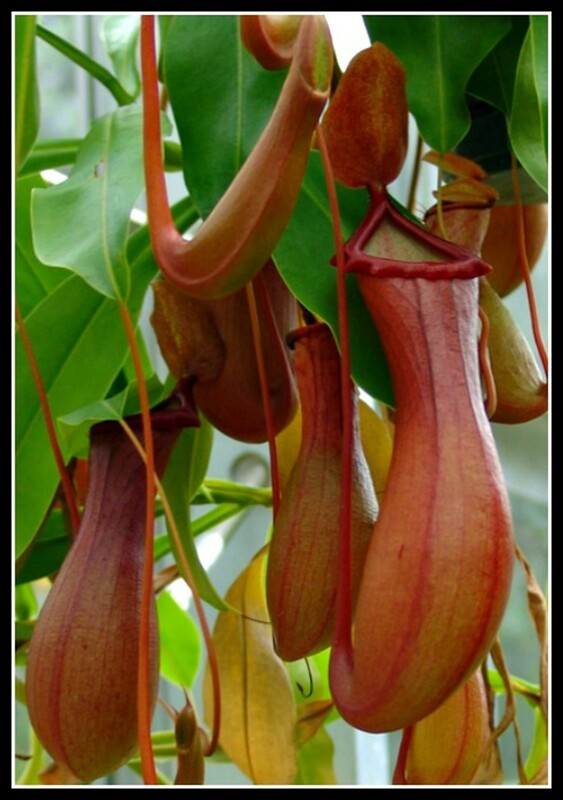 It is one of the finest collections of Polynesian plants in existence, including endangered species native to Lord Howe Island. The garden is also home to individual gardens dedicated to rare plants from Guam, Madagascar, the Mascarene Islands, the Ogasawara Islands, and the Seychelles. Visitors can walk the trails today and see the remains of ancient Hawaiian villages and explore the life of kahiko (ancient) Hawaii with craft demonstrations, cliff diving, hula dancing, and language lessons. The park perpetuates the old Hawaiian lifestyle. Office of Hawaiian Affairs and Waimea Valley to learn more about this amazing place along with all upcoming current events scheduled in the valley. $5.00 - Seniors, and Military. Garden Hours - Open 9:00 a.m. to 5:00 p.m. daily. This beautiful coffee table book by David Leaser pays homage to Hawai'i's botanical gardens and the lush foliage found within them. Included are historical notes and tidbits bringing each major garden in Hawai'i to life in the comfort of your own home. The pages overflow with gorgeous photography of plumerias, hibiscus, banyan trees, orchids, proteas, and so much more. Highlighted are garden pioneers such as Mary Foster (of Foster Botanical Garden fame), who solicited the help of botanist Harold Lyon to restore the Foster Botanical Garden, as well as others who developed their own botanical gardens, many for private use. It was difficult choosing only two of the gardens on the Big Island of Hawaii. There are not only many beautiful gardens, but hundreds of orchid and plant nurseries that double as gardens with guided tours. The island is like a huge green house. 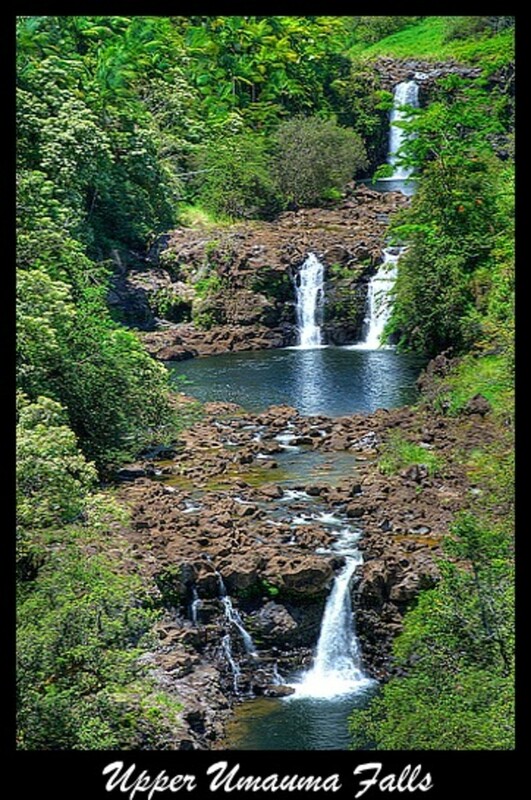 A "Must See" on your Hawai'i vacation is on the eastern part of the island almost 9 miles from Hilo. 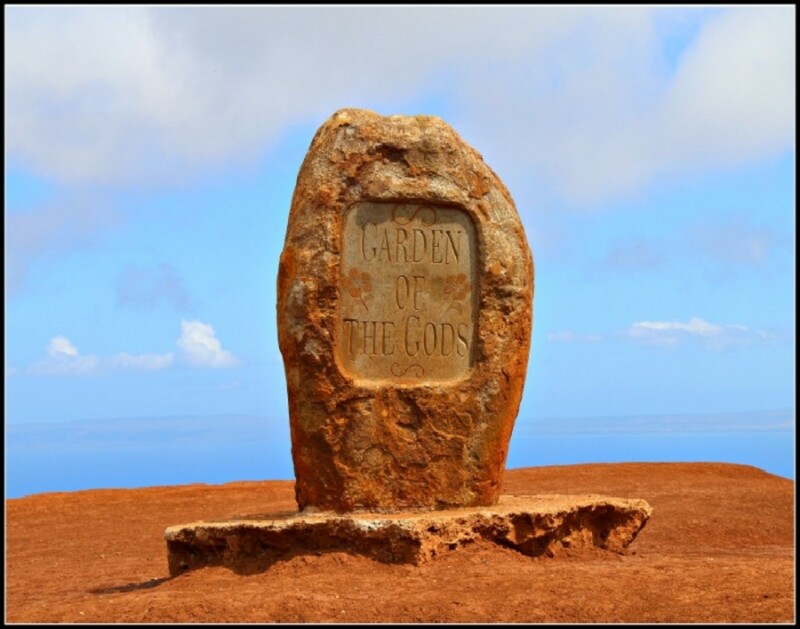 The Garden is located off of the Hamakua Coast on the Four-Mile Scenic Route, at the back of Onomea Valley. This award-winning garden's dramatic entrance gate lies just across the street from a beautiful new visitor center with ample free parking surrounded by the lush rain forest jungle. Upon entering the Hawaii Tropical Botanical Gardens Visitor Center notice the ohi'a logs that are supporting the roof of the lanai (porch). 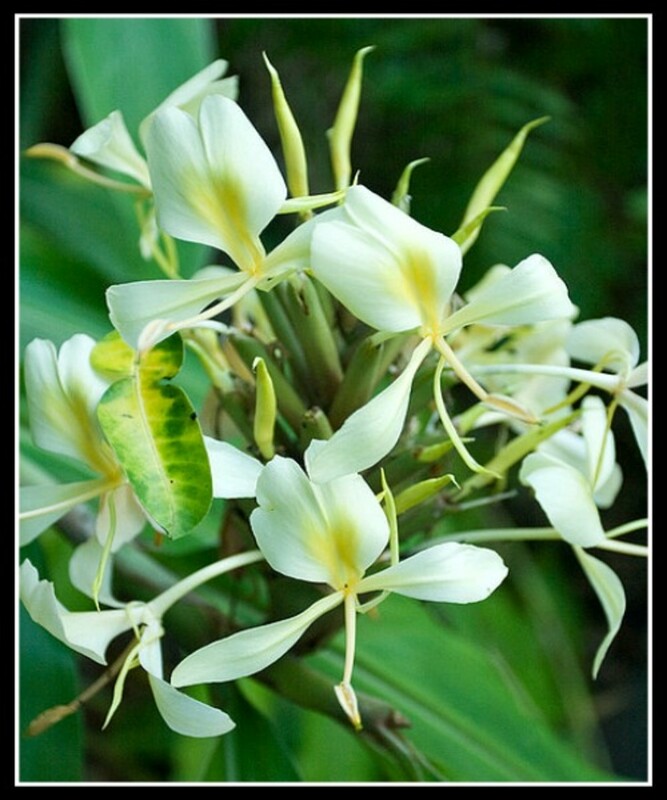 The ohi'a is indigenous to Hawai'i and only grows in the volcano areas. 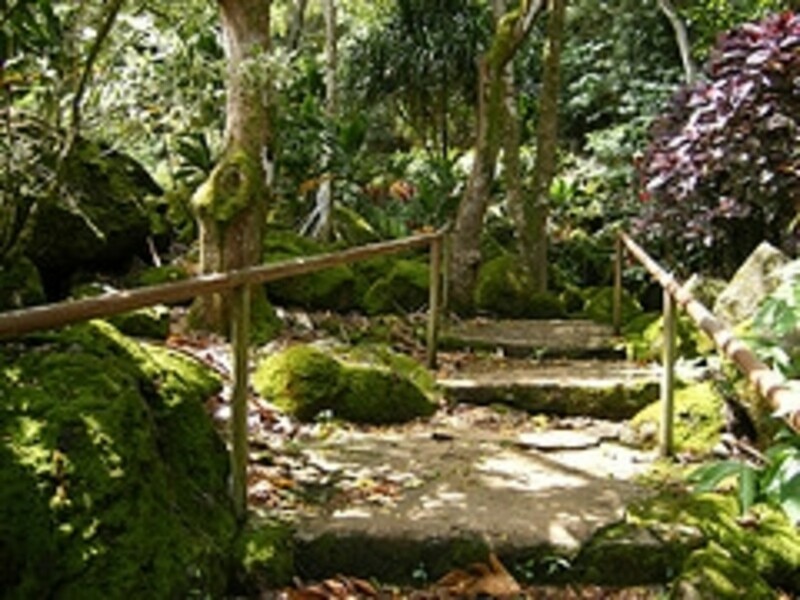 The Hawaii Tropical Botanical Garden is a museum of living plants that attracts visitors from all walks of life including, but not limited to, artists, photographers, gardeners, botanists, scientists, and nature lovers from all over the world. This one-of-a-kind garden is tucked away in a 40-acre valley, that is home to a magnificent collection of tropical plants from all over the world. It is protected from the trade winds by its high walls brimming with lush, tropical vegetation. 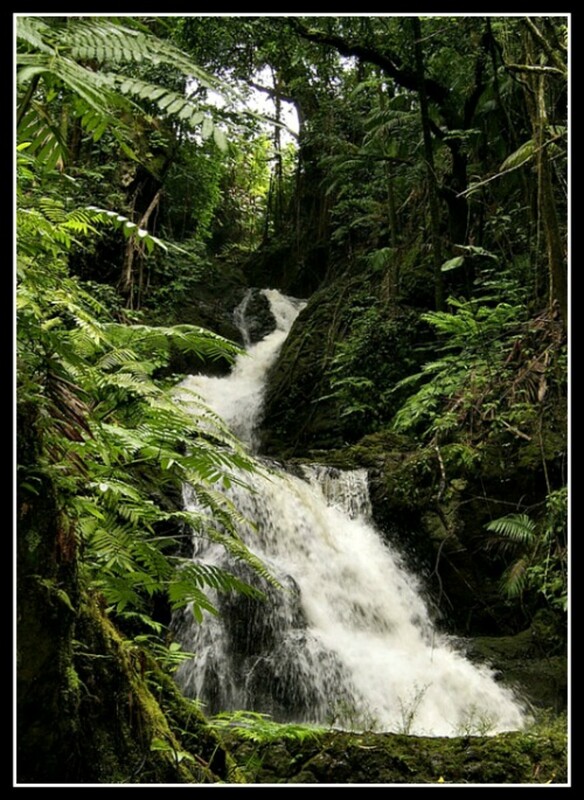 The rain forest is growing out of rich, fertile volcanic soil and boast over 2,000 species of plants, more than 125 families and over 750 genera. Some of the garden's enormous mango and coconut palm trees are over 100 years old. Tropical plants that struggle to grow in homes and gardens across America reach gigantic proportions here. It has an almost Jurrasic Park feel to it as if you had gone back in time and walked into a prehistoric jungle. Now that the rainforests are being decimated at an alarming rate, and the natural habitats are all but vanishing from off the face of the earth, the Hawaii Tropical Botanical Garden is working to preserve as many species as possible for our future generations. Garden Hours - Open 9:00 a.m. to 5:00 p.m. daily, with Garden admissions ending at 4pm. Visitors walk the 500 foot dramatic, beautifully landscaped boardwalk down into the Garden on the ocean. This boardwalk alone is a photographer's paradise that should not be missed. The boardwalk is not wheelchair accessible. The Garden provides golf carts to transport wheelchair-bound visitors with their companion and their wheelchairs up and down the boardwalk. Once you've exited the boardwalk, you may use your wheelchair through most of the Garden. Only non-electric wheelchairs are permitted entry into the Garden. For a $5 fee, Golf Cart assistance can be provided to those visitors that are not wheelchair-bound but otherwise physically limited. To preserve the serenity and non-pollution of this beautiful garden we discourage the use of golf carts on the boardwalk unless absolutely necessary, and only after seeking and receiving permission to do so. If you have a real interest in gardening (not just a casual gardener) with tropical flowers and plants from Hawaii or you are a botanist interested in the flora and fauna of Hawaii, then this book is for you! This book is a horticulturist delight full of information on Hawaii's tropical plants. It includes information on disease prone species, historical data, planting suggestions and outcome in different locations and altitudes, insect vulnerability, and so much more. World Botanical Gardens is 275 acres of beauty. 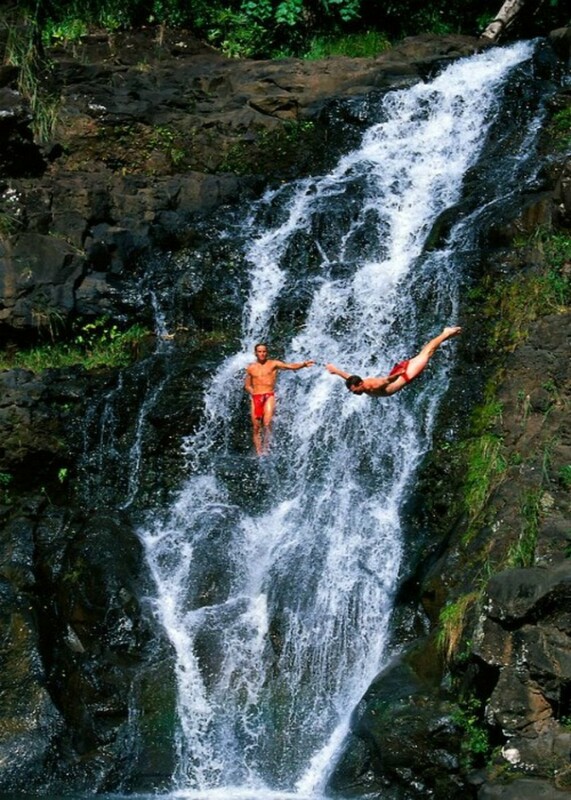 The northern acreage of the Garden borders on the unique three-tiered Umauma Falls that is one of the most beautiful waterfalls on the Big Island with a 300-foot drop from the crest of the falls. 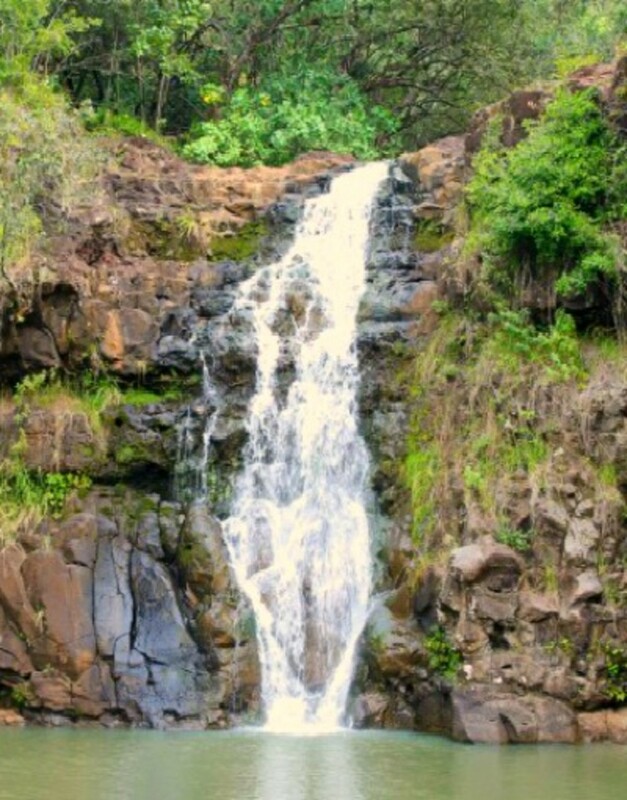 The falls are a feed off from the Hanapueo Falls above it. Locals still love to fish these falls for fresh water opi (shrimp) and small fish. 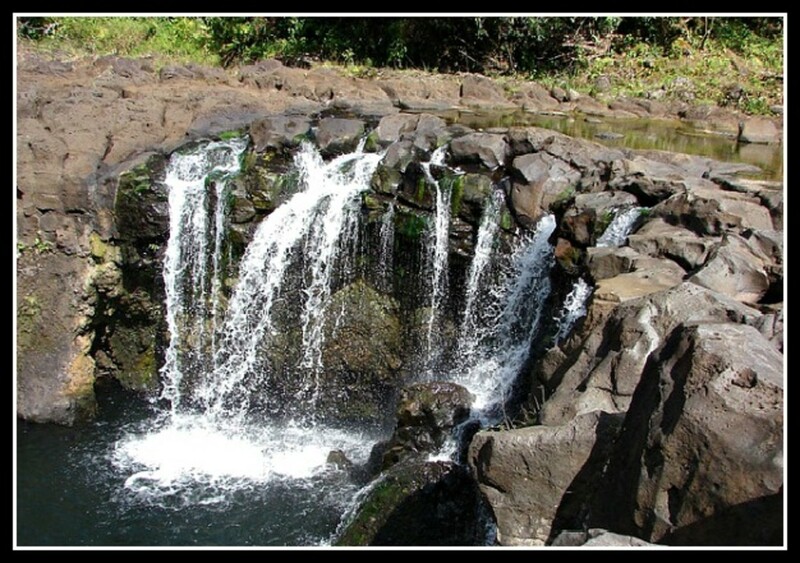 As you drive up the access road from the World Botanical Gardens main entrance, you will reach an overlook of Kamae'e Falls. At the overlook you can view the waterfall gushing down a sheer rock cliff covered with ferns and other native vegetation to a crystal clear pool below. Also visible from this vantage point is a view of Mauna Kea volcano and the green pastures of a local cattle ranch. The World Botanical Garden is always a blaze of vibrant, tropical color from the orchids, hibiscus, heliconia and red wiliwili blossoms (to name a few) while the air is heavy with the heady aroma of wild white ginger, yellow ginger and sweet red geraniums. 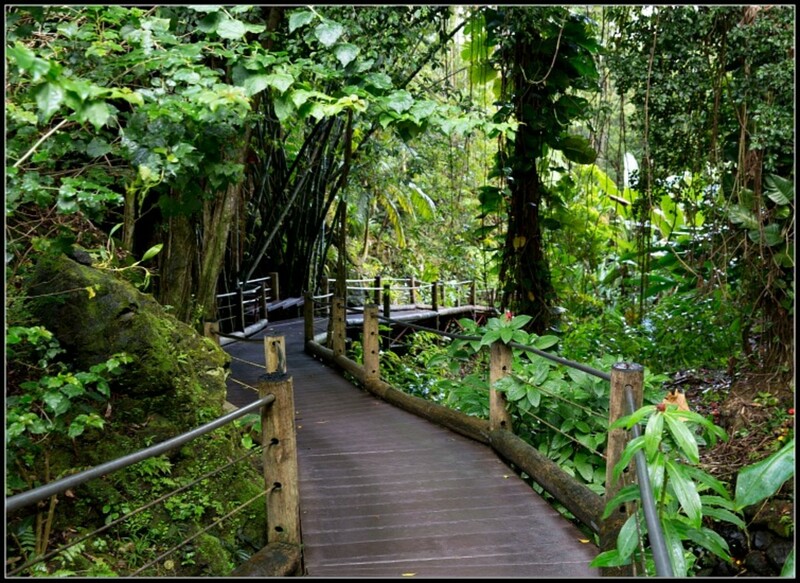 The gardens have shady, wide, paved walkways that guide visitors along a cascading creek, beneath towering rain forest trees draped with the pendulous tropical vines and gigantic leaves of the Golden Pothos (Epipremnum Pinnatum) throughout the rain forest. This is another area we use to hike and swim when we were kids, and when my kids were younger, for free. Since the World Botanical Gardens purchased the property, only about 20 years ago, the gardens are still considered young but have continued to grow into a huge commercial garden. 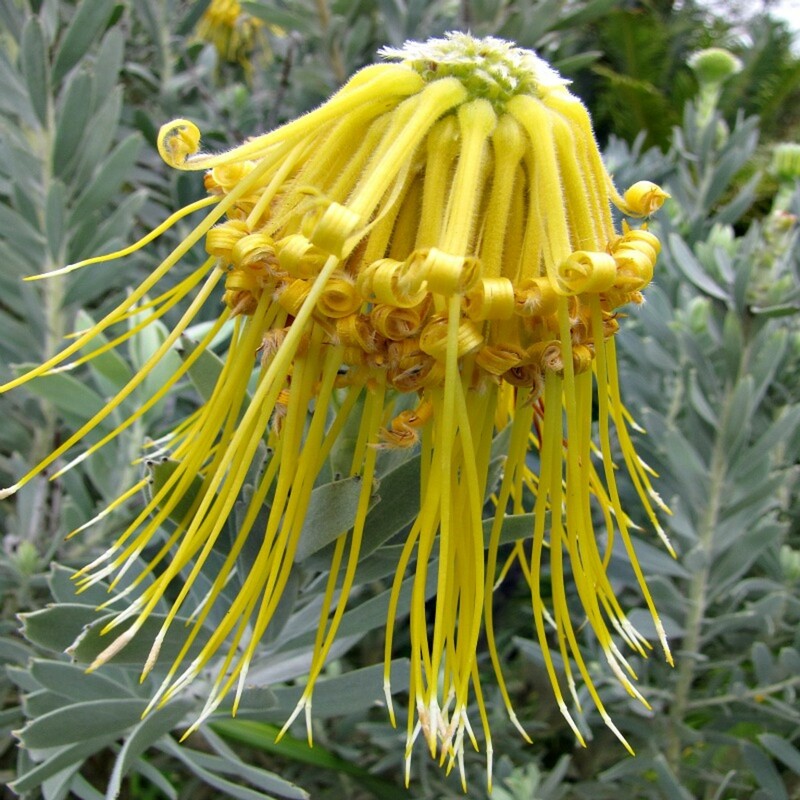 They now are exhibiting a large variety of plants with more than 5000 species. Hundreds of wild orchids are now growing along the paved trails and around the trees and they cling to the gardens 80 meter (over 262 feet) long Orchid Wall in the Rainbow Walk. 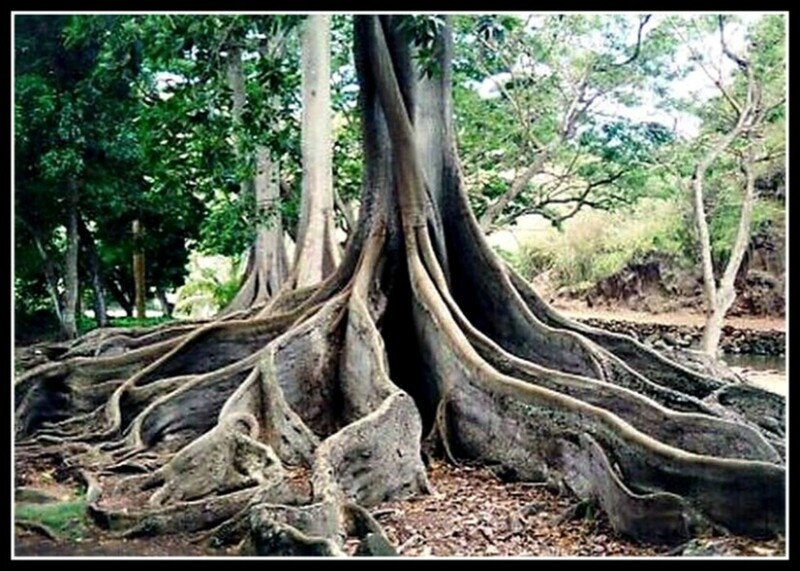 Visit their Arboretum where you will see the exotic, tropical edible plants such as mango, guava, papaya, pineapple, banana, breadfruit, coffee and many, many more on their horticultural tours. You are given the opportunity to experience the flavors of the fresh luscious ripe fruits. They have also added fun things for the kids and those with a more adventurous spirit; a Children's Maze, a Segway Tour and a Zip Line Adventure. A Children's Maze, the second-largest herbaceous maze in the world, has been created from thousands of mock orange bushes planted in a regular array of hedge work. Visitors, young and old alike, can have a great time figuring out their way as they wandering through it. In 2010 the Segway and Zip Isle Zip Line Adventures where added to the cost of the gardens entry fee for those with a more adventurous spirit. The guided tours packages are a bit pricey, but well worth it for what they include. Included is a 30-minute Introductory Segway Tour with a certified Segway guide. 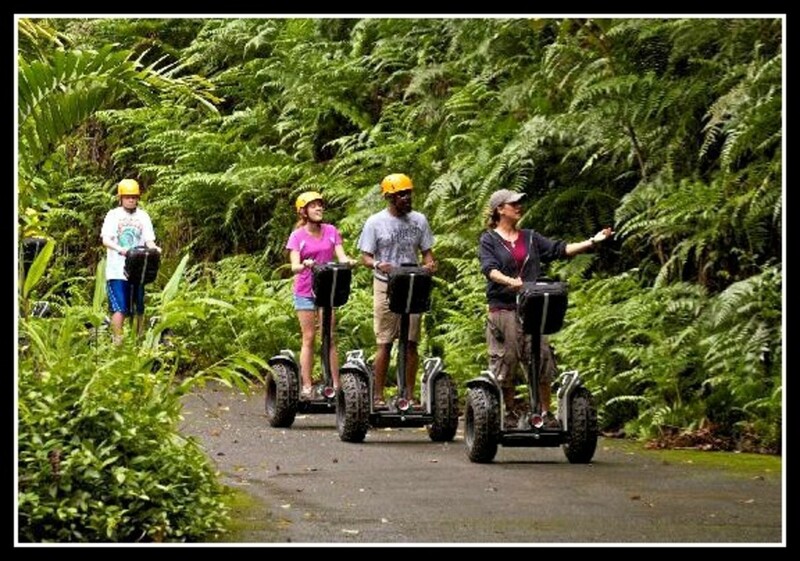 The guide will instruct you on the fundamentals of riding a Segway through the scenic Rain forest Trail where you can visit historic areas and explore the rain forest. 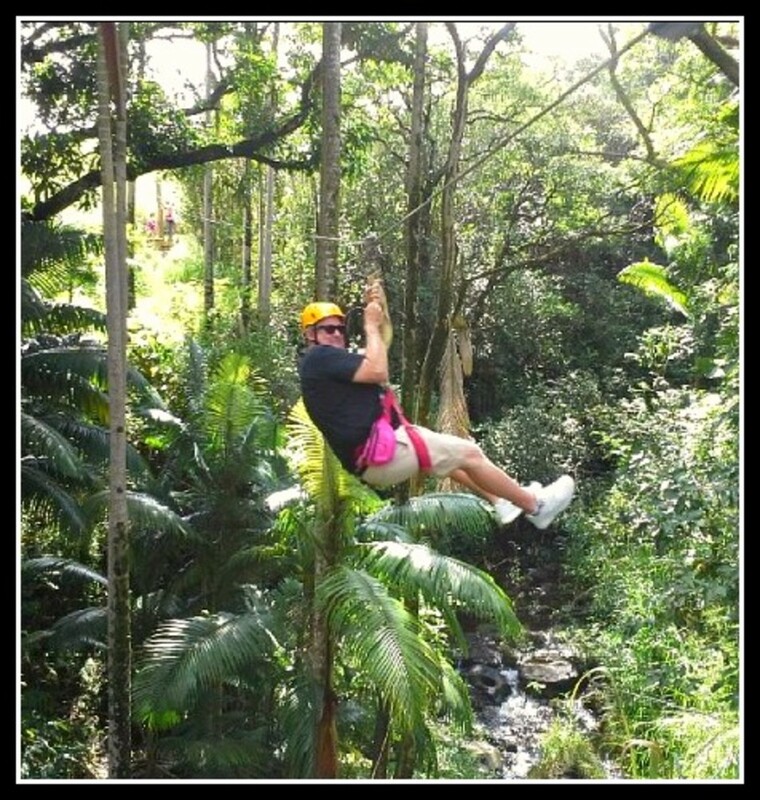 Then you can zoom over a canopy of tropical trees and acres of lush tropical gardens on a 2-hour Zip line! The zip is on a 7-stage Zip Line on a breath-taking 150 foot suspension bridge giving you a totally unique way to 'hang loose' and see the scenic Hawaiian countryside from a 'birds-eye' view. You will experience the thrill of a lifetime while viewing the unique features the Big Island has to offer such as Mauna Kea volcano, waterfalls, and the rain forest. Garden Hours - Open 9:00 a.m. to 5:30 p.m. daily. Maui is home to an incredible assortment of botanical gardens, that range from lavender flower to multi-herbal gardens; from silversword to proteus; and from endemic tropical to worldwide tropical. Most of the gardens are open for either guided or self-guided tours. 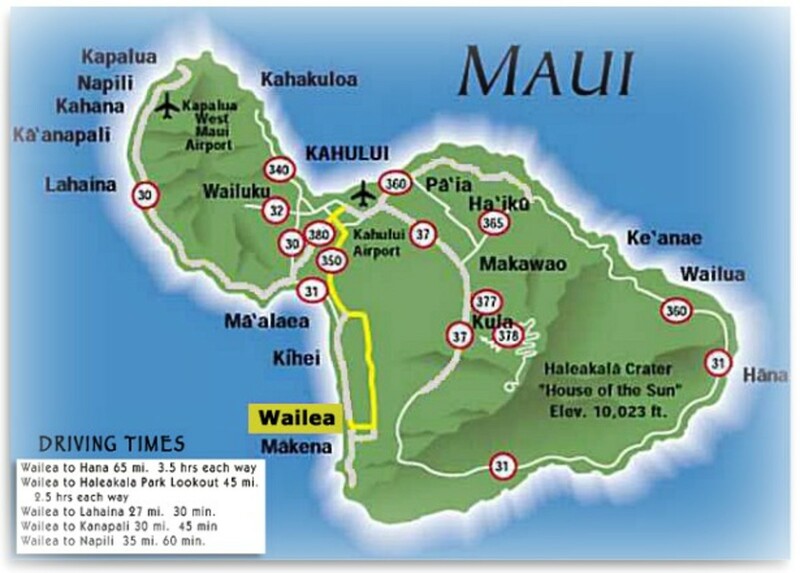 We will only be covering a few from the multitude of selections Maui has to offer. 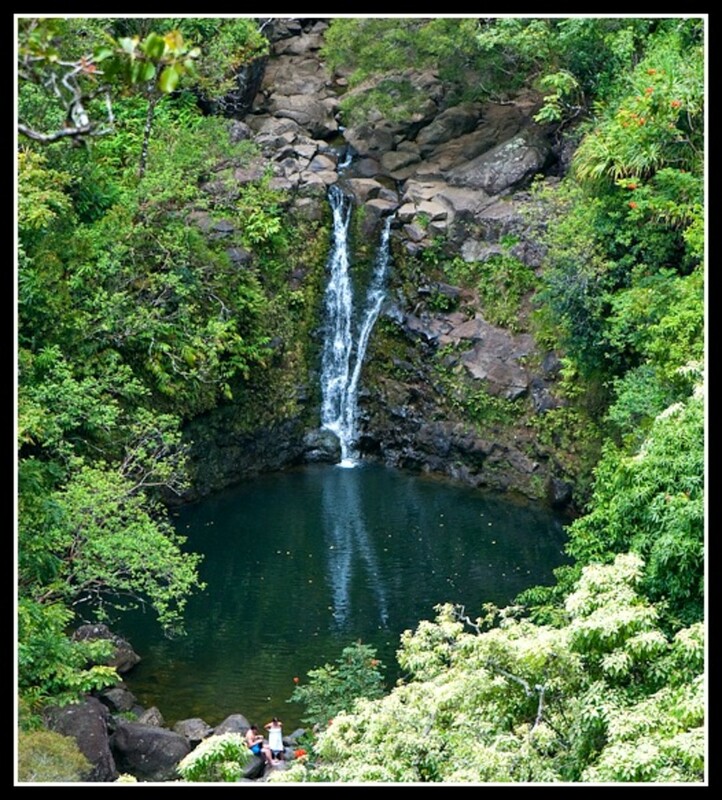 One of my most favorite spots in the world use to be Hana, Maui. 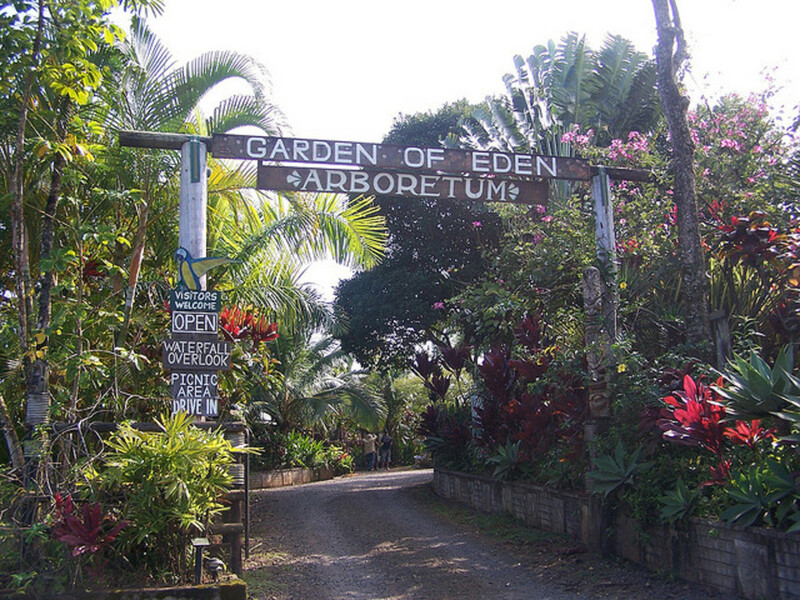 On the road to Hana you will find the Garden of Eden Arboretum of the Puohokamoa Valley. This is a unique 26 acre garden that is really geared more for the tourist, but it is beautiful, it is fun and it is an experience. 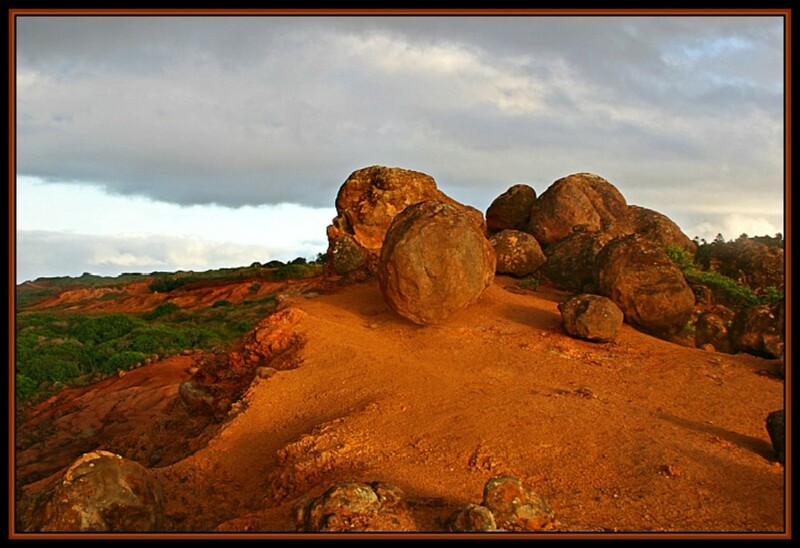 Keopuka Rock, which you may have seen in the film "Jurassic Park", is located on the property. There is an extensive macaw and peacock aviary, waterfalls and a collection of over 500 different species of tropical plants, including the most extensive collection of Ti plants in the State of Hawaii. 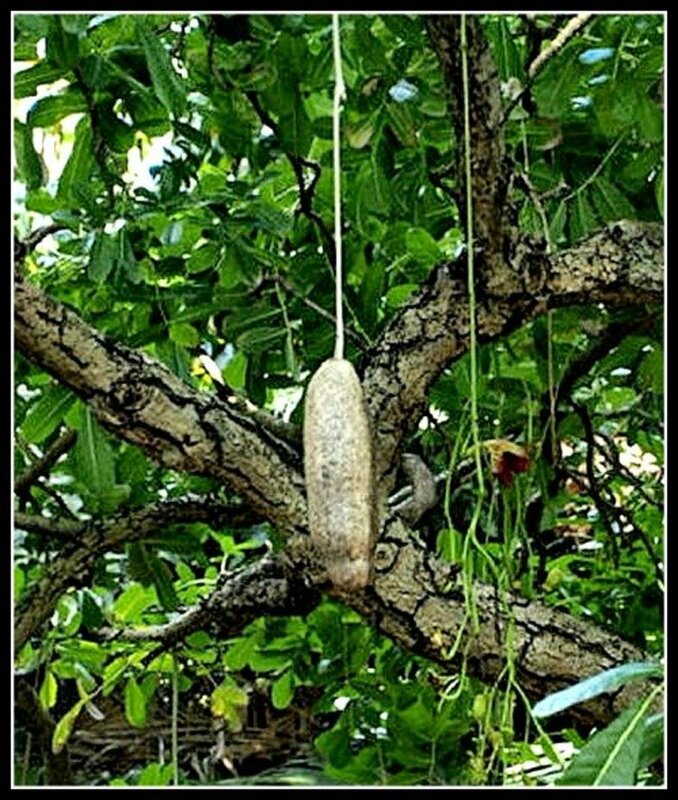 Ti has a long history of usage by the Hawaiian people for medicinal preparation and healing; in ceremonies and rituals; and in preparing and serving food. 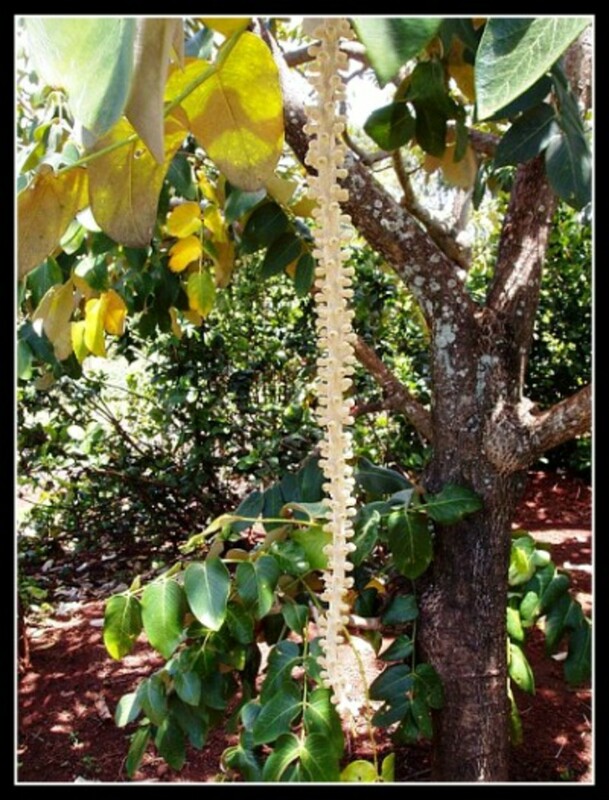 It is considered one of Hawaii's most useful plants. In the bottom of the photo of Keopuka Rock, shown on the right, there are four different varieties of ti plants. 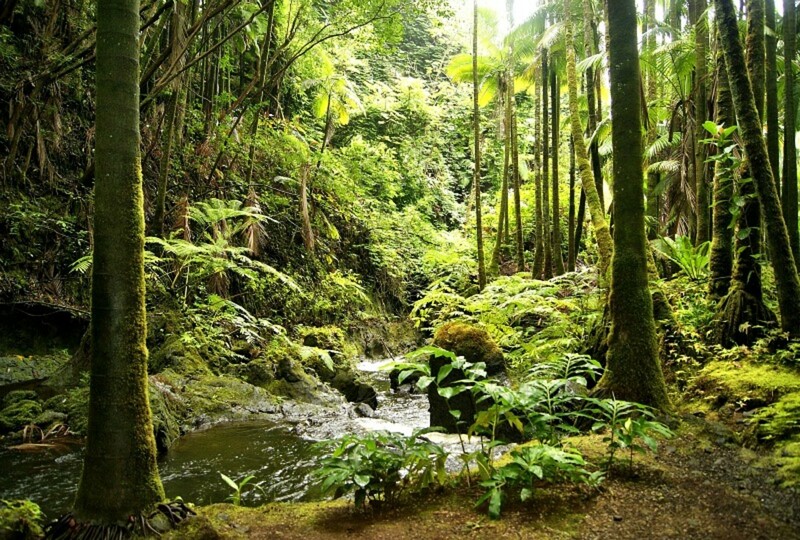 All of the plants at the Garden of Eden come from South Pacific, South American and Central American rain forests. 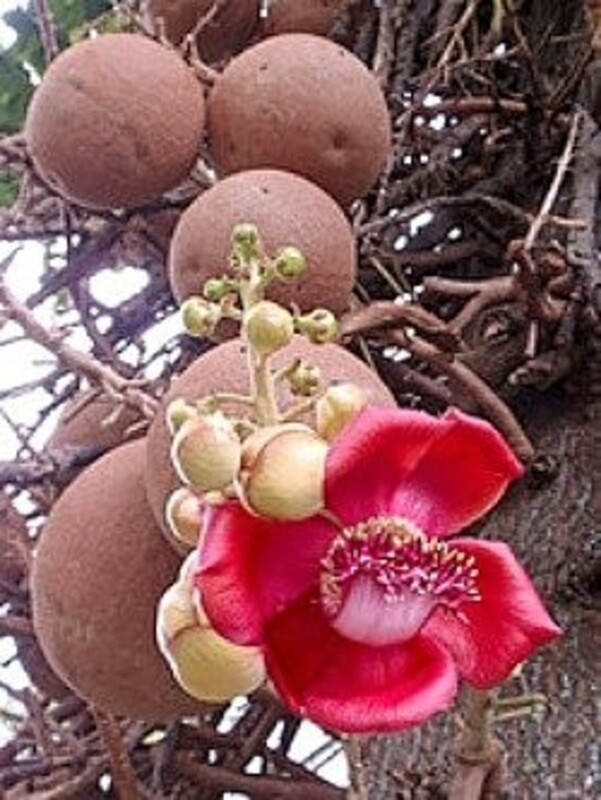 There are also many species of plants which are indigenous to Hawaii. 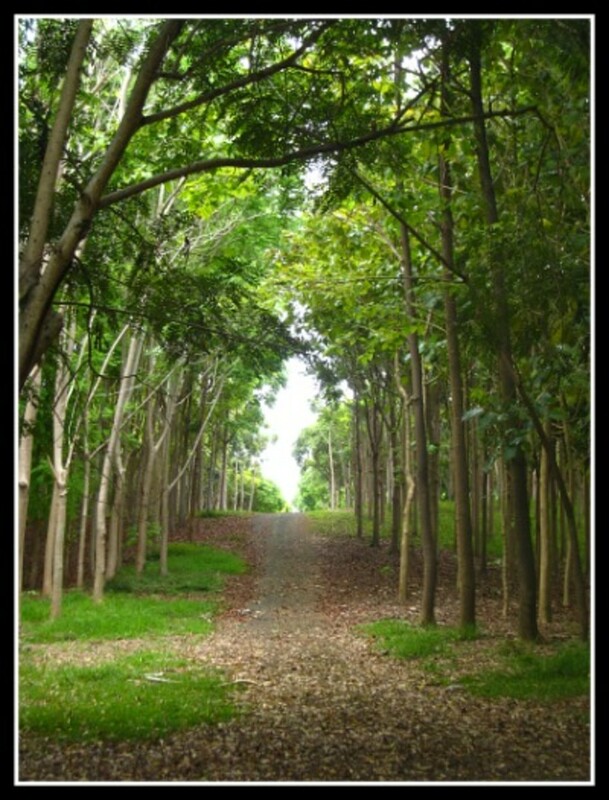 The park was designed by Alan Bradbury with the aim of restoring the area's natural ecosystem. 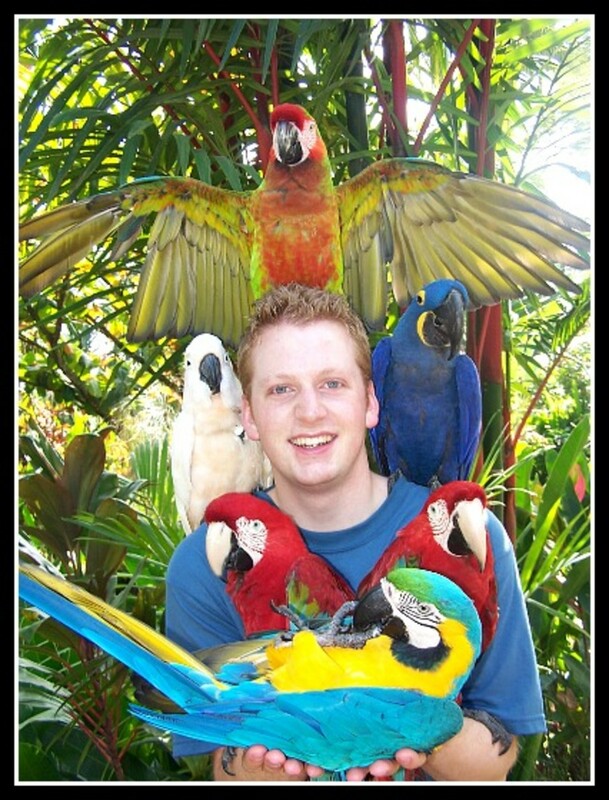 Bud the Birdman performs daily with his 10 best trained show birds, including macaws, parrots and cockatoos. Kids and adults alike love this bird show. As you can see from the photo on the right, Bud's birds are so well trained they will perform like this for photo shoots, no matter who is posing for the photo. Kula Botanical Garden is a small garden of only 8 acres, but is home to nearly 2,000 species of indigenous Hawaiian flowers and plants. 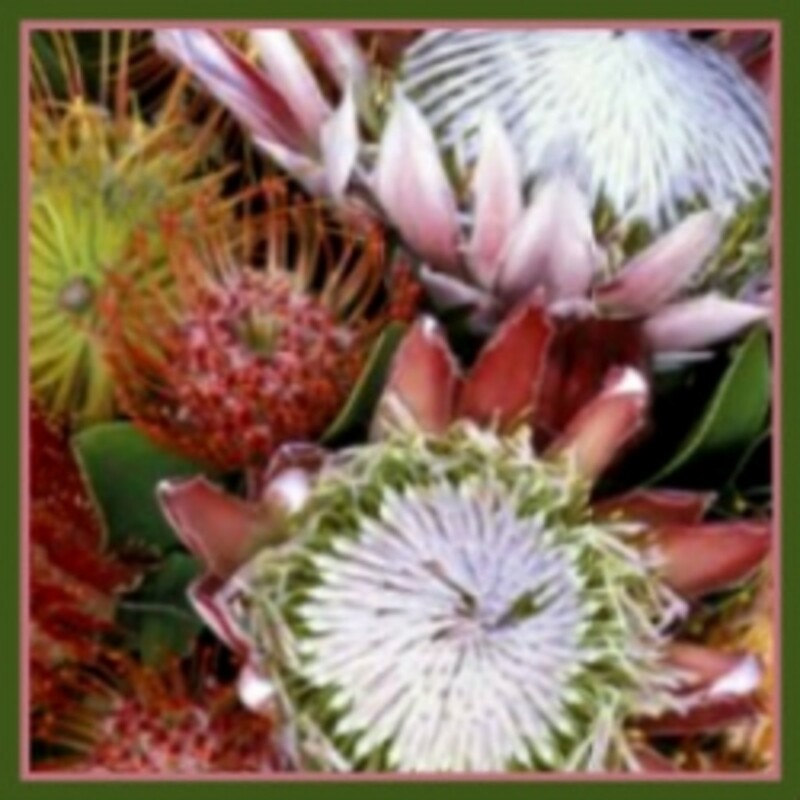 The true king of this garden are the large variety of species from the showy protea family, featuring 60 different varieties. 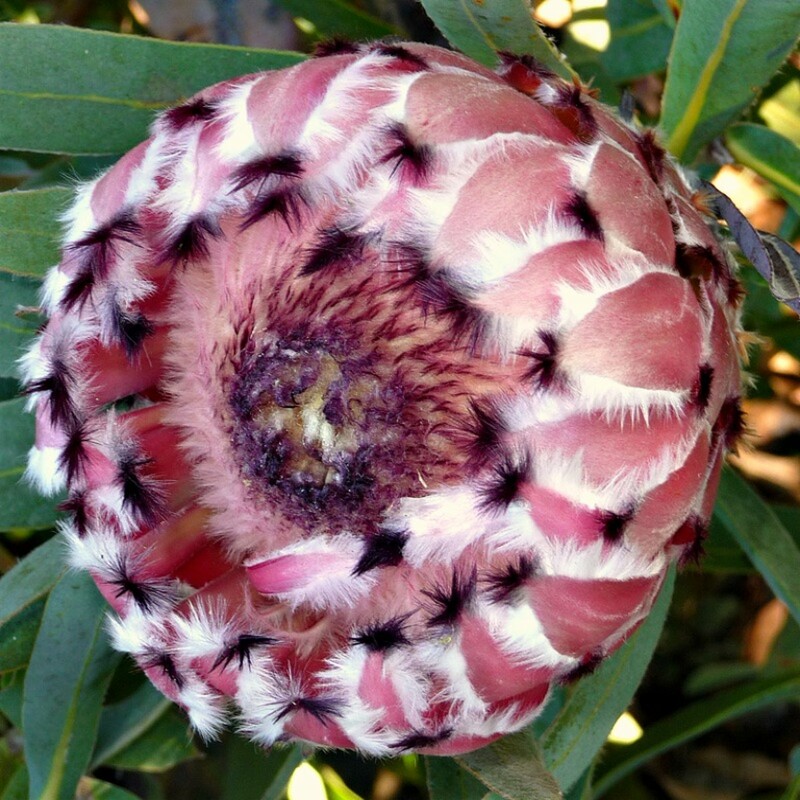 The dry, temperate climate of the slopes of Haleakala makes it an ideal location for growing protea flowers. The gardens were established in 1968 by Warren and Helen McCord as a display garden for Warren's landscape architecture business. 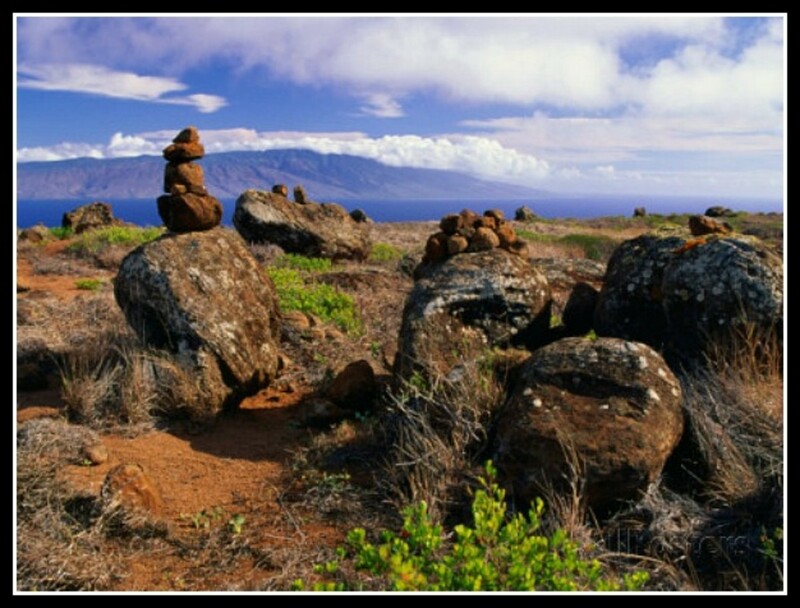 They didn't open to the public until 1977 as a native Hawaiian plant reserve. Due to the high elevation (3,300 feet) of this garden, both tropical and semi-tropical species can be grown. The gardens boast some of the most beautiful and exotic plants you have ever seen. The garden has evolved into a tourist destination that draws thousands of visitors every year. They are still an entirely family owned and operated business who take great pride in sharing their garden with visitors. Said McCord, "The one comment that just simply makes it worthwhile is some one will come and say 'I could stay here forever, this is the best thing we've seen on Maui." 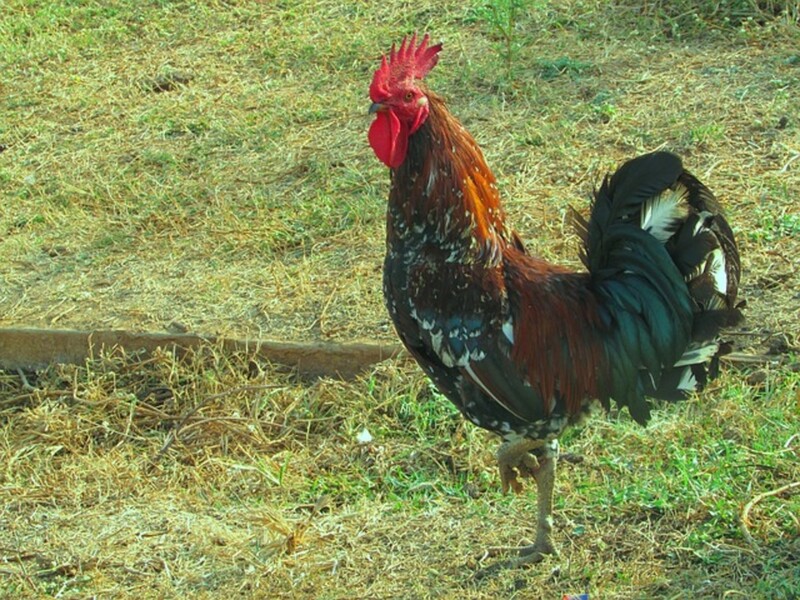 Located on Kekaulike Highway (Highway 377) near the Kula Highway (Highway 37) junction, the garden is an array of colorful and unique plants, amazing rock formations, a covered bridge, waterfalls, koi pond, and aviary. The garden's koi pond now fills a basin that is fed by a 400-foot-long stream. 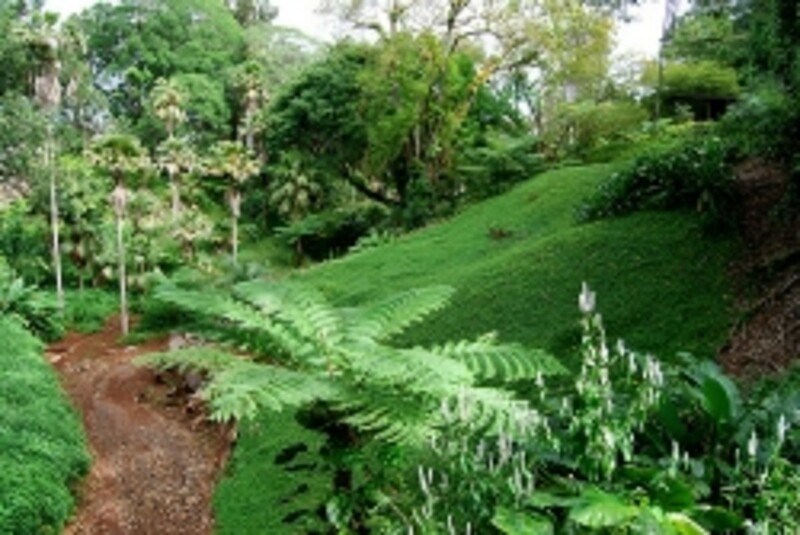 Kula Botanical Garden includes hundreds of varieties of plants for you to enjoy and photograph. Many weddings have been performed at its gazebos. Plants are labeled with their botanical names, common names, and country of origin. 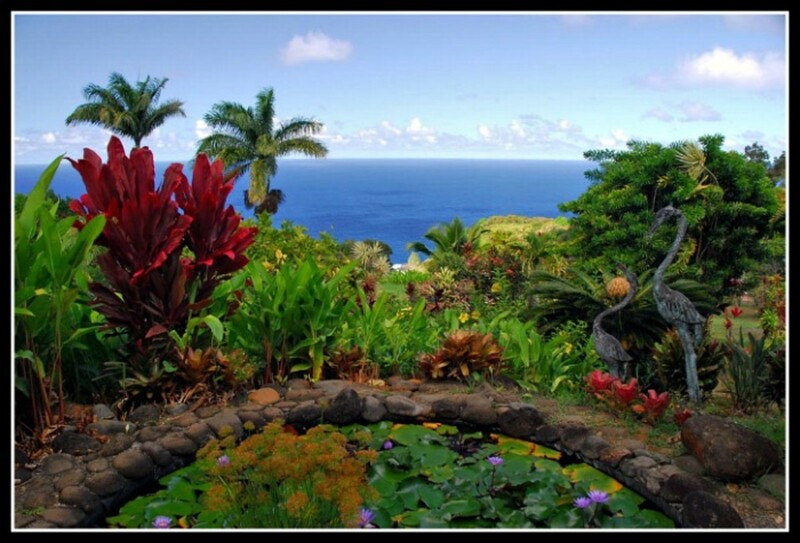 Included in the garden is a collection of native Hawaiian plants. Children especially will enjoy the Jackson Chameleon exhibit, Nene geese (state bird on endangered species list), African Cranes, and the Aviary. Guided tours can be arranged with advanced notice. Kaua'i is one of the wettest places on earth due to the amount of yearly rainfall. Attributing to a mixture of rain, sunshine and rich tropical soil, it is home to some of the lushest tropical rain forest and botanical gardens in the world. The Na 'Aina Kai Botanical Garden is a true magical paradise where you can experience the multiple moods and diversity of its beauty. 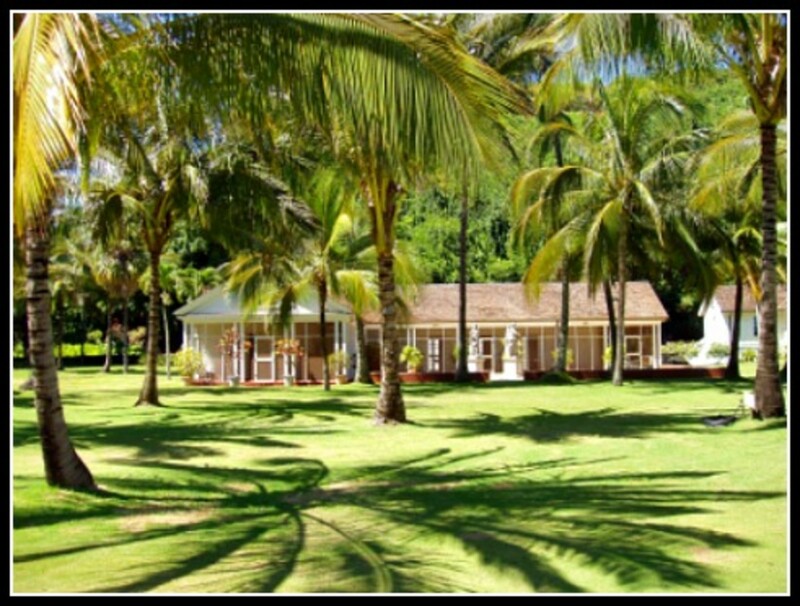 The garden is tucked away on Kaua'i's north shore, facing out towards the ocean where the humpback whales can be spotted during mating season. 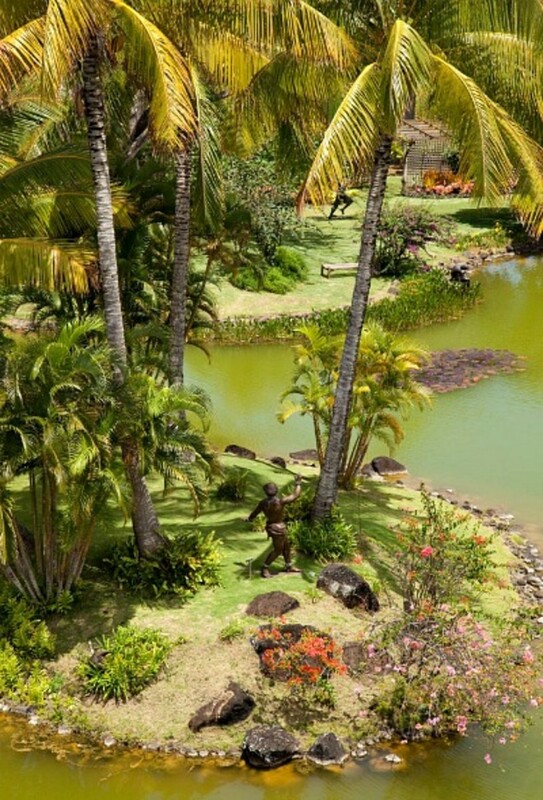 The 240 acres of garden, feature natural treasures that will awaken your senses, and tropical wonders never cease. When visiting this Hawaiian botanical garden you have a full understanding of why Kaua'i is appropriately named the Garden Isle. 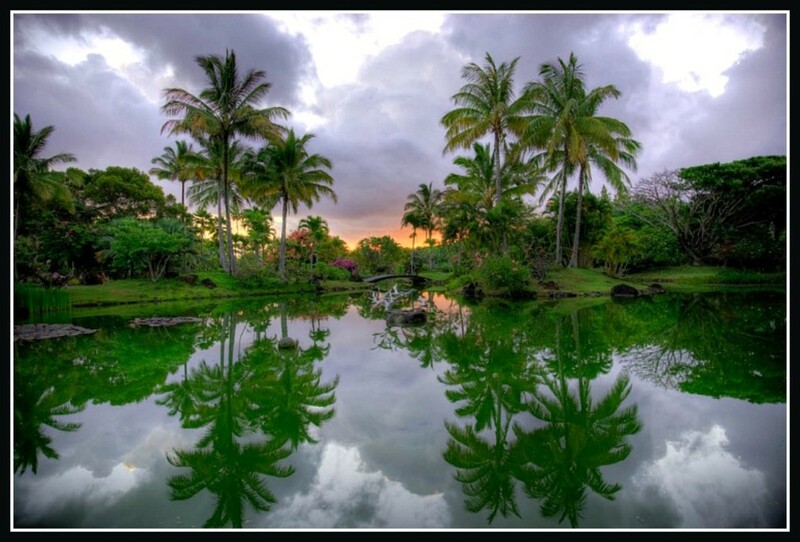 Even though I am from the Big Island of Hawaii, in my opinion, Kaua'i is the most beautiful island of the Hawaiian chain and the Na 'Aina Kai Botanical Garden is a place of awe and wonder. 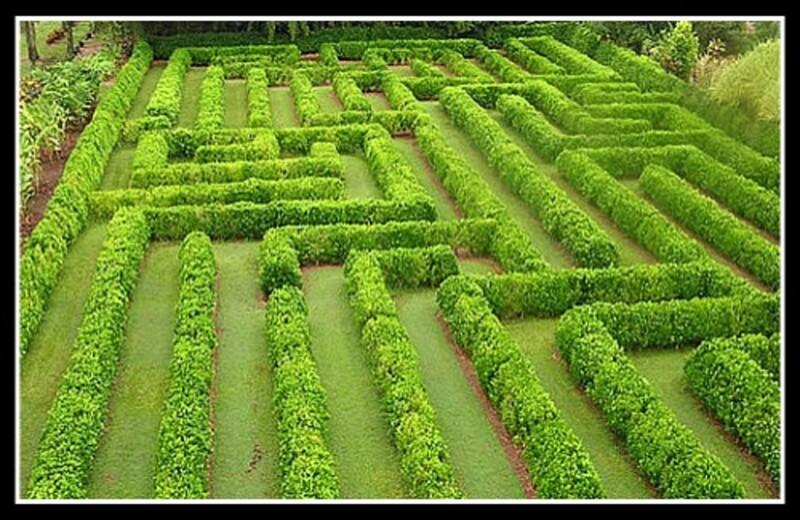 Featured in the above photo is a full-size Hedge Maze which is included in the Formal Garden Tour. 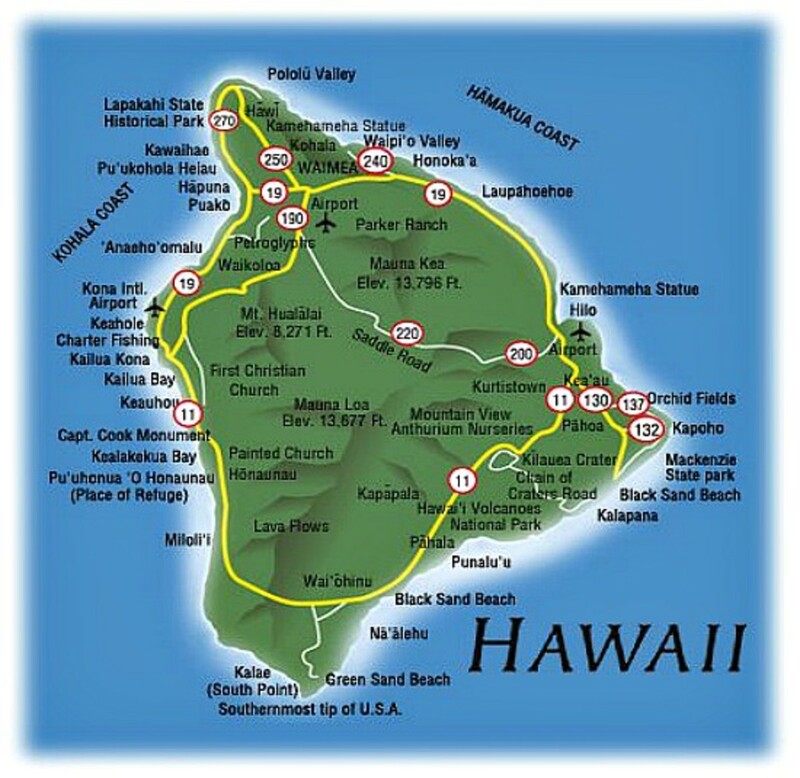 Also included in this tour is the Shower Tree Park, the Ka’ula Lagoon with waterfall and tropical island, a Japanese tea-house, the International Desert Garden, the Romantic Palm Garden and the Orchid House and Gallery at the Visitor Center. All of the 7 tours available include the Formal Garden Tour. Other features within the Na Aina Kai gardens a hardwood plantation, a moss- and fern-draped canyon, a bog house, a Hawaiian village, lagoons filed with koi, and a pristine sandy beach stretching between a meadow and the sparkling aquamarine waters of the Pacific Ocean and so much more. The place is huge and it is impossible to cover all of it in one day. The more than 90 bronze statues alone, that you see strategically placed throughout the garden, are magnificent works of art. It is the largest collection in the nation. 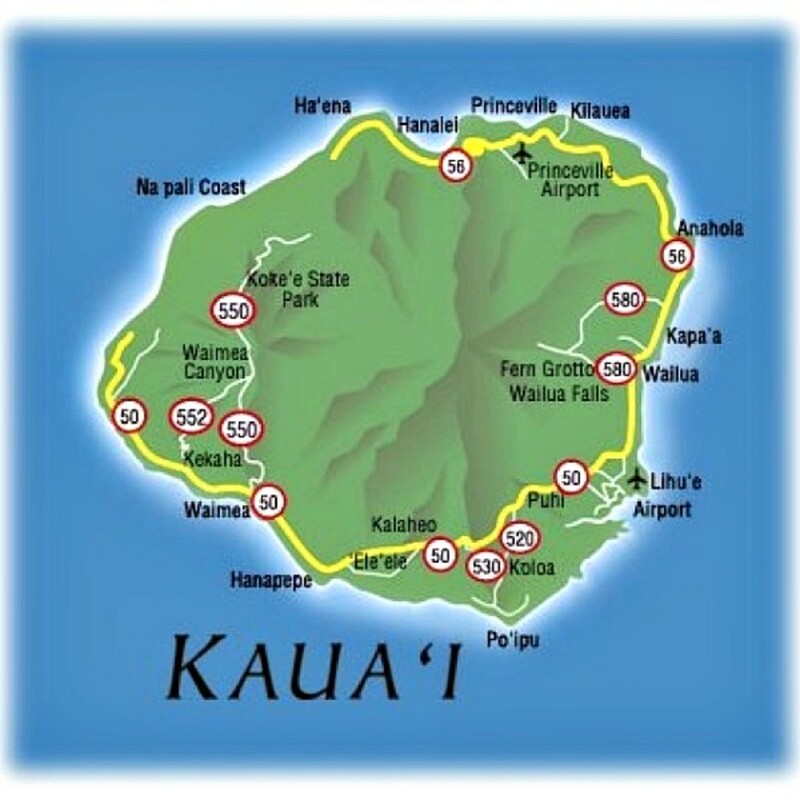 Na 'Aina Kai is closed to the public on weekends and holidays. Tours are offered each Tuesday through Friday throughout the year. Tours range in length from 1.5 hours to 5 hours. * All tours are guided and suitable for children 13 and older. Children younger than 13 will enjoy one of their "Under the Rainbow" Children's Garden Family Tours. Family tours must be pre-arranged. * Reservations are highly recommended; however, they are happy to accommodate drop-in guests on a space-available basis. * Orchid House Visitor Center and Gift Shop is open each Monday from 8 a.m. until 2 p.m.; Tuesday, Wednesday and Thursday 8 a.m. until 5 p.m.; and Fridays 8 a.m. until 1 p.m.
* Keiki Day (Children's Day) - Held one Saturday every month. Kids can indulge their senses in the “Under the Rainbow” Children’s Garden. The kids can play in Jack’s fountain and pond, explore the jungle rubber tree house, a gecko maze, a tropical jungle with bridges, tunnels and slides, a kid-sized railroad train, log cabins and a covered wagon made from teak wood and discover the many child friendly features of the Children’s Garden. Bring a towel and be prepared to get wet! Outside snacks are permitted. Reservations are recommended. 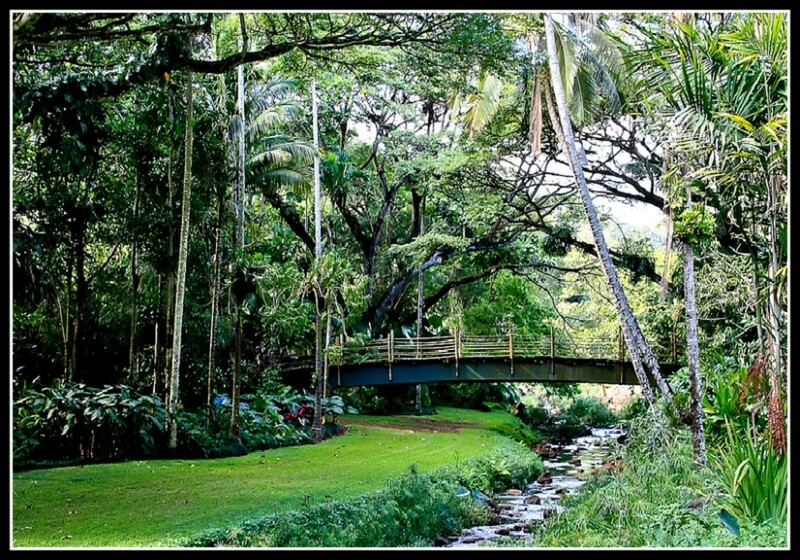 The National Tropical Botanical Garden is located in Kalaheo, Kaua'i on Lawai Road, across the street from Spouting Horn Park. It is also known as the Allerton and McBryde Gardens. The McBryde Garden contains research and conservation collections while the Allerton Garden is a landscaped estate garden. 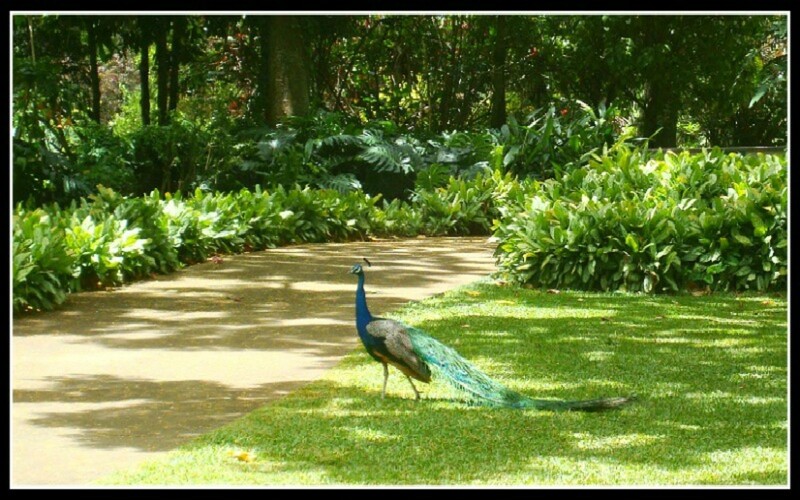 The Allerton Gardens is one of three National Tropical Botanical Gardens on Kauai, and one of five in the US. It was started in the late 1800's by Hawai'i's Queen Emma and transformed into its current design by a child of a wealthy Chicago family who purchased the land in the late 1930s. 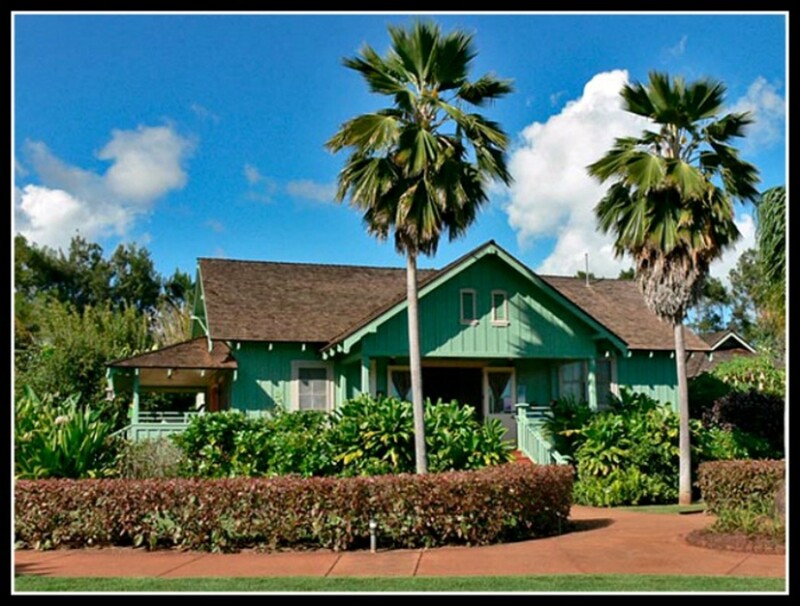 You can still see the lands and a cottage once used by Queen Emma as her summer retreat. The photo to the right is of her renovated cottage. The gardens are a privately funded, non-profit, research and educational institution, dedicated to discovering, saving, and studying the world's tropical plants and to sharing what is learned. Though created by an act of Congress in 1964, the garden isn't annually allocated government funds and instead depends on private donations and grants from public and private foundations. The resident scientists face the challenge of snatching the Pacific islands' quickly disappearing plants from the brink of extinction for re-propagation. 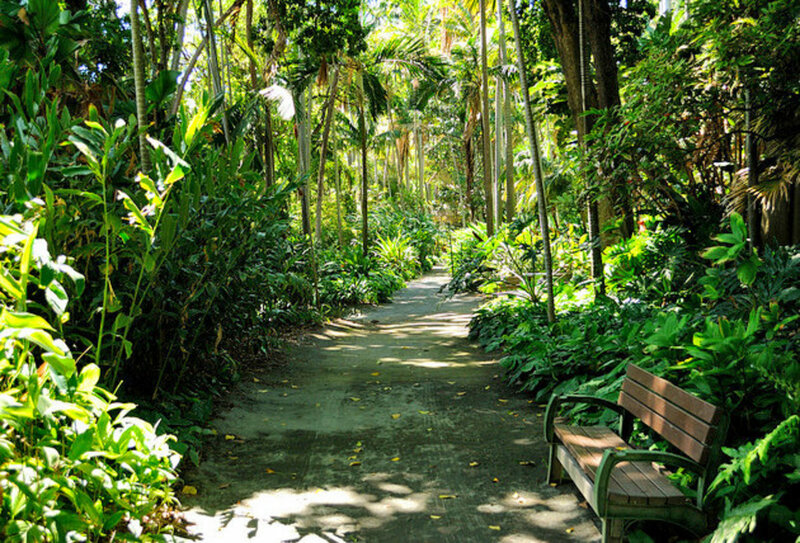 The NTBG has grown to encompass over 1,800 acres of gardens and preserves, including five botanical gardens and three preserves, all but one (The Kampong in southern Florida) are located in Hawaii. Thousands of species have been gathered not only from the Pacific islands, but also from throughout the tropical world. Through hundreds of field expeditions by staff and through collaborations with other institutions and researchers, they have formed a living collection that is unparalleled anywhere in the world. Their collection includes a the largest collection of native Hawaiian plant species and of breadfruit cultivars in existence. "Most of our visitors to Hawaii look at this beautiful, lush landscape and they just think, 'It's paradise,' " said Charles R. "Chipper" Wichman, garden director, gesturing to the verdant valley stretching out below his office window on Kauai. He says visitors haven't any idea what they are viewing is a war zone between our native plants, which are trying to hold on to a space, and all the invasive, imported plants and animals that are trying to take it away from them. Each of the gardens is unique and requires at least an hour or two to take in properly. The Limahuli Garden on the lush North Shore features many native species and stunning 700-year-old terraces where taro is grown. On the drier South Shore, a tram ride takes you into the Lawa'i Valley, where the McBryde and Allerton Garden are located. These trees were used in the filming of "Jurassic Park" in 1992 where Dr. Alan Grant and the kids discover the raptor dinosaurs eggs cradled in the sinuous, above-ground roots. Creator John Hammond’s granddaughter was also filmed in these giant tree roots when a brachiosaurus sneezed on her. If you are interested in the tropical gardens of Hawaii, these two books are excellent resouces that I highly recommend. In this beautifully illustrated book, Made Wijaya takes you on tours of modern tropical gardens around the world, showing you innovative tropical garden designs. Visiting tropical states of the U.S. including Hawaii, California, and Florida all the way to South America, Asia and Australia. 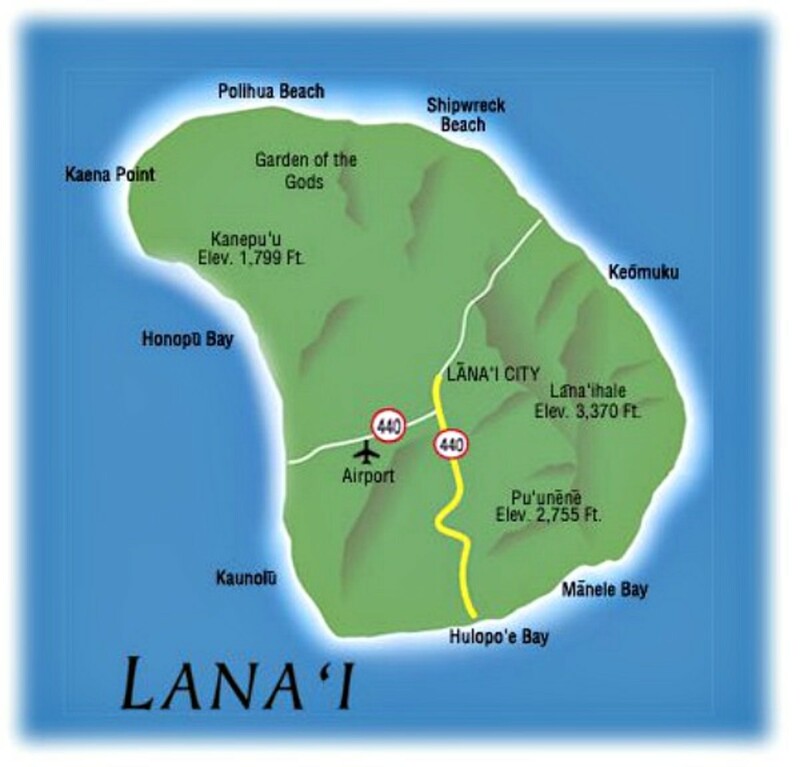 The island of Lana'i is a very small island, with a population of only 2,500 people. At one time it was almost completely covered with pineapple fields owned by Dole Pineapple Company. Today it is fast becoming an exclusive and secluded resort since the land was purchased from Dole, by Castle & Cook Corporation. Keahikawelo is perhaps Hawaii's ultimate "rock garden," an awe-inspiring lunar-like setting that's as shrouded in mystery as it is in stark beauty. The rock formations where created by volcanic forces and have been sculpted by the wind and water, giving them the look and feel of being on the moon. The bizarre rock formations are the result of thousands of years of erosion that created pinnacles and buttes in the very remote canyon area. The rocks are a mixture of a variety of brightly colored hues including bright reds, purples, lavenders, browns ,oranges, yellows and various ocher colors. Looking out over this vast moonscape I am always in awe of the serene rock formations and can't help but wonder if the rocks had been placed strategically this way for a higher purpose beyond our earthly comprehension. Viewing this desolate, windswept area is best during sunrise or sunset, when the light casts eerie shadows against the boulders and brings out the rocks’ most dynamic colors. Here, too, you might catch a glimpse of axis deer foraging on the green grass that borders the rock formations. Bring your camera, but please respect this spiritual place. Please don’t rearrange or removing any of the rocks. Viewing this desolate, windswept area is best seen during either sunrise or sunset. I love sitting and watching the rays of sunrise cast its warm glow of gold and rusty colors spreading across the field of rocks, or viewing the creeping of eerie dark purple shadows encroaching with the sunset light against the majestic boulders. Here too I might catch a glimpse of an axis deer foraging on the green grass that borders the rock formations. Which Garden Would You Like to Visit in Hawaii? Beautiful and useful. Voted up. Lots of affordable places to visit. @Pam Irie: Aloha, my friend. Mahalo for letting me know about the one in Wahiawa. 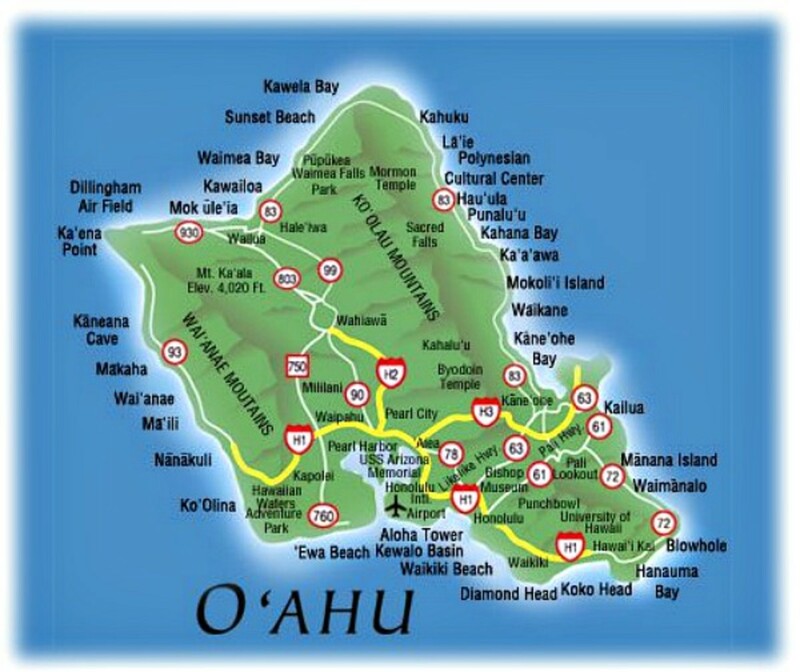 It has been a lot of years since I have been on Oahu or out to your area in Wahiawa. I live near the Wahiawa Botanical Garden on Oahu. It has no admittance fee. It's a small garden but lovely. In celebration of Friendship Day 2012, I am returning to some of my favorite lenses for fun, sharing and renewed blessings :) Friends Still Make it All Worthwhile! @mrsclaus411: It really is a magical place that I just barely do justice to! Thanks for stopping by. Beautiful lens. I would like to be able to visit Foster Gardens because it does indeed seem magical. What a nice tour of these gardens. Gorgeous! Beautiful lens - I feel like I've been able to visit the gardens today. Thank you. Great lens! I've never been to a botanical garden in Hawaii... thanks for the information! :) They look amazing! @indigoj: That was just the nicest thing to say. You made my day! Thank you so much! Been to Oahu and Maui but missed these - have to try again one day! @ShamanicShift: Shama, Mahalo nui loa for your kind words and blessing! @deyanis: Deyani, You are so sweet. 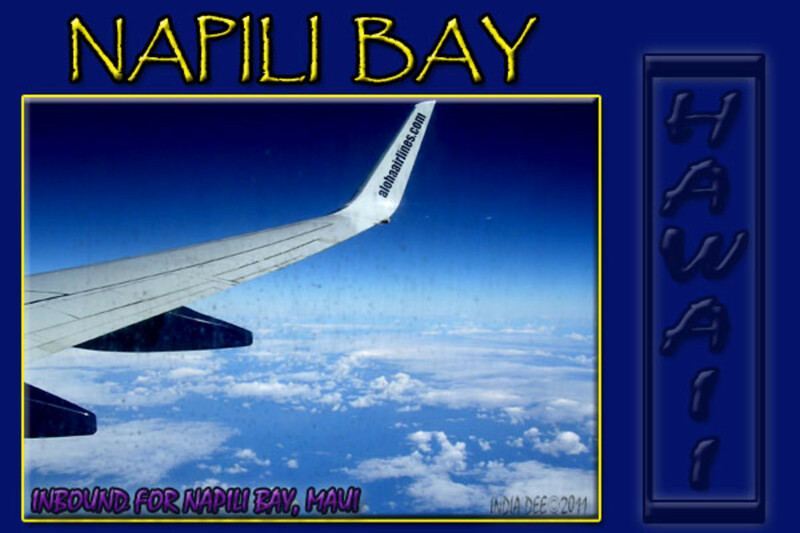 Mahalo hui - I sent you a message! @ZenandChic: Jewel's, you are a jewel! Mahalo nui loa for the blessing, my friend. Awesome lens! I love the pictures! Blessing it! What a beautiful Lens, love it!! I would so enjoy a visit to Hawall, this Lens is the next best thing! Awesome -- wondrously beautiful -- wanna go there -- blessed by a SquidAngel! Well, we have been so fortunate to vacation on the Big Island and then spend much time on Kauai ... and you are right! The best botanical gardens are there. @squid-janices7: I love Kaua'i myself. The mountains there are fabulous! @Sylvestermouse: I hope the photo streams were working for you. They no longer seem to be working for me. I will have to redo this lens. Beautiful! When I go back to Hawaii, I will have to make a point of visiting some of the gardens. What an awesome lens! I've been to all the main Hawaiian islands and honestly I think they are just great big botanical "islands"....you get the sweet smell of flowers around every corner. 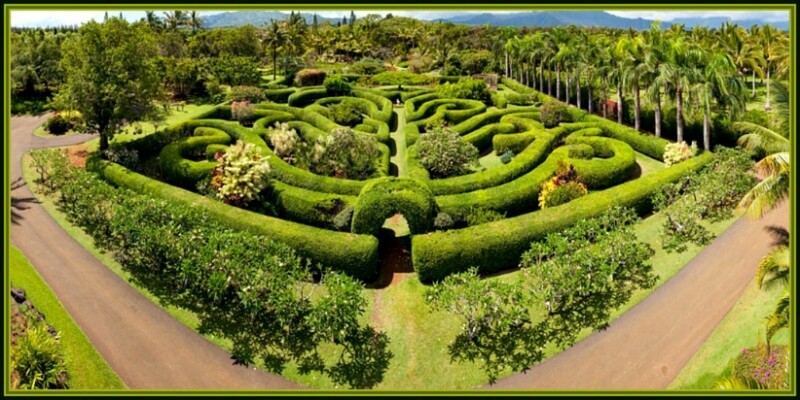 My favorite island is Kauai (nicknamed the garden island) and the Allerton and McBryde Gardens on Kauai is AMAZING! Thanks for sharing all the great info and photos. Totally enchanting, I would love to go there. Your pictures are fantastic! The gardens are only as beautiful as the islands themselves. Thanks for sharing the spectacular photos. I loved your lense and have just lensrolled it onto my lense The Hunt for Flowers in Botanical Gardens. I always go to botanical gardens when I travel and this will be a great resource for me. Stunning! 5* and your application to have this lens added to my Great Gardens of the World Group is hereby approved! Beautiful! Welcome to All Things Travel. I have never been to the big island. 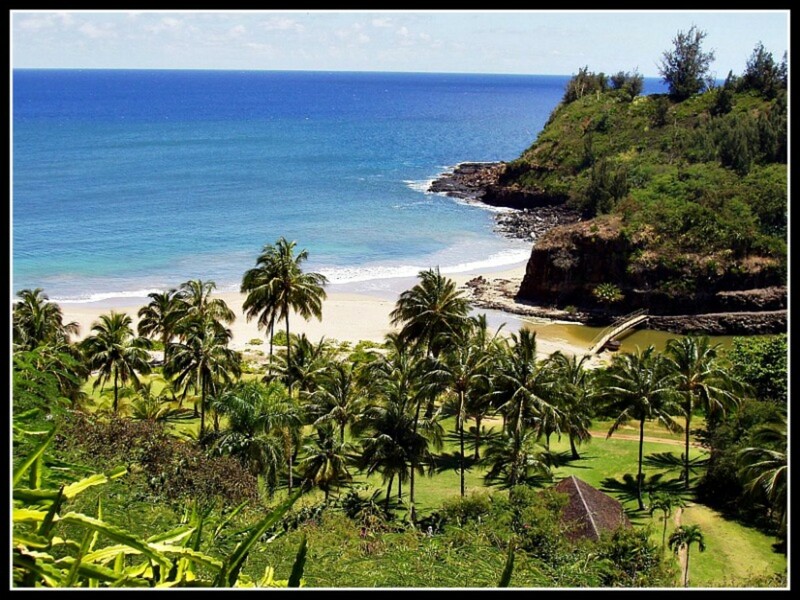 I stayed in Kauai and loved it. The land there is alive and knows you are there. You can feel it and I felt Pele as well on Kauai. Hawaii is so different than the mainland and is in my soul! I love your lens. I am going to lensroll to my IZ lens and Aloha from Kauai lens. I love your lens and I gave you 5 stars. Thank for the usefull info. I am a palm tree enthusiast, just started my own web site Florida Palm Trees. Check it out when you have time. Very nice lens! The photos are beautiful! 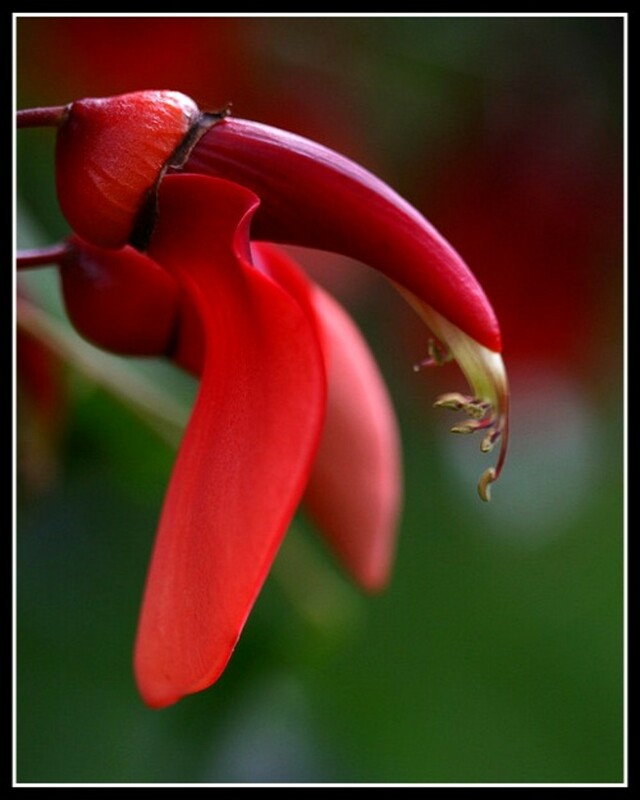 I'll be adding this to the botanical gardens section of my botanical art lens. 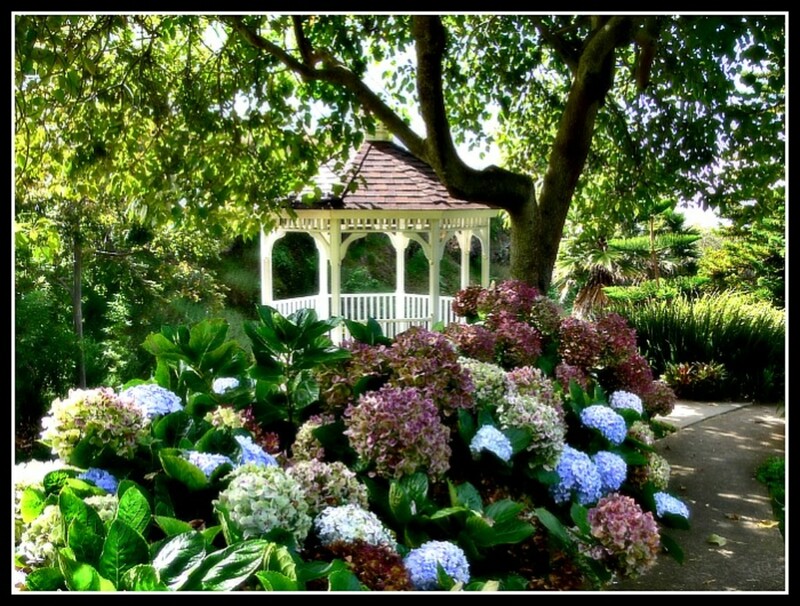 Love the Kula gazebo photo here! Nice lens. The pictures in this lenss filled my soul and lightened my heart. This day started out a bit sad but when I looked at your pictures here I was honestly reminded how lovely and completly amazing this world is. Thank you Kona Girl.